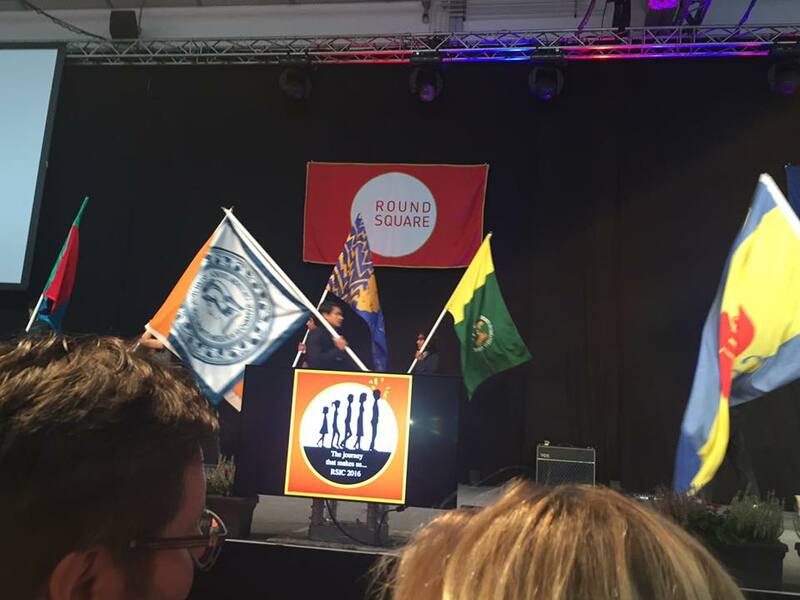 The school is the proud member of Round Square Global, which currently has more than 190 member schools from around the world. 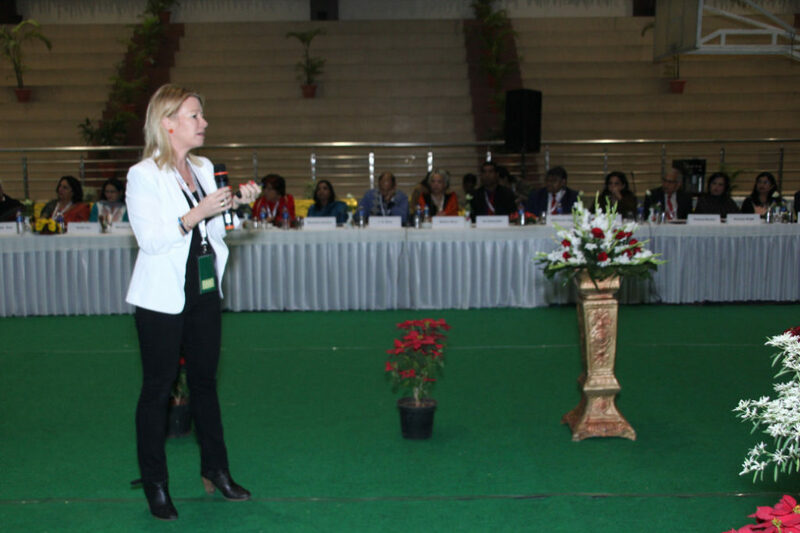 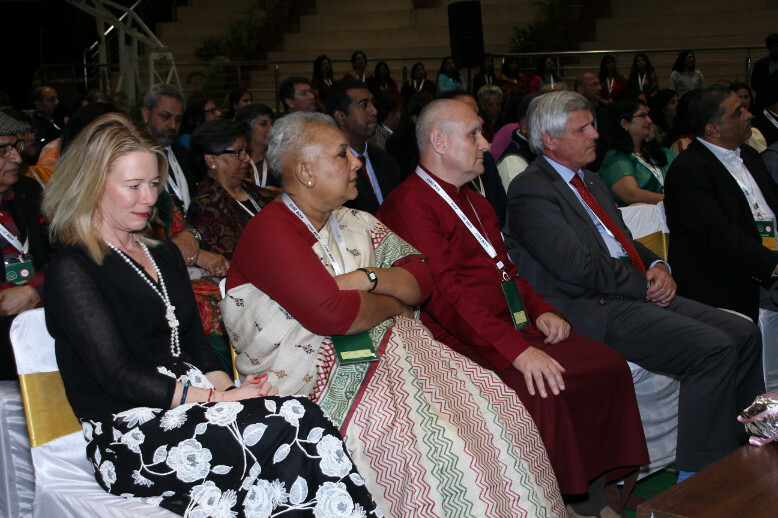 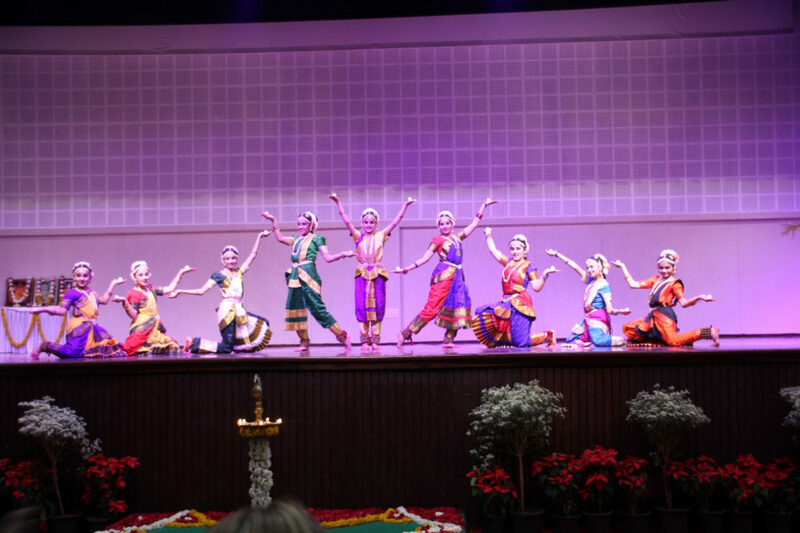 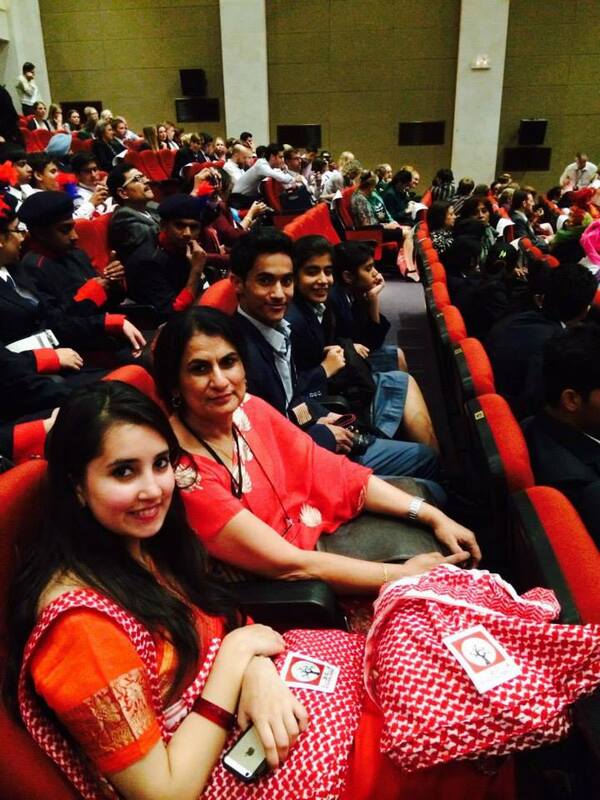 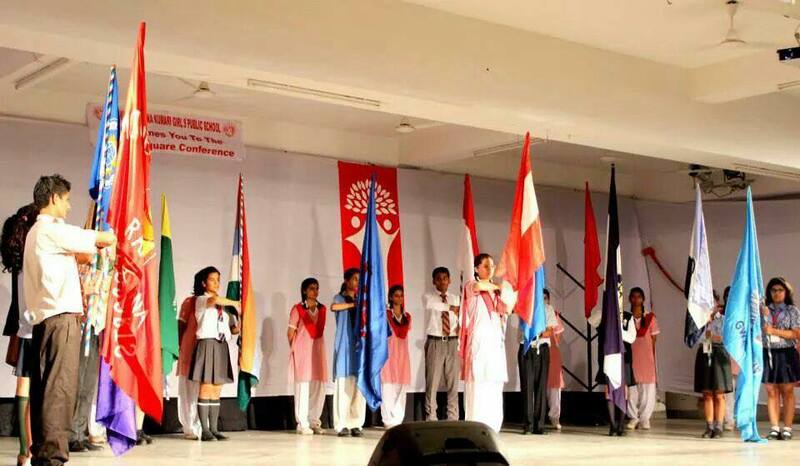 The school actively participates in the national and international conferences. 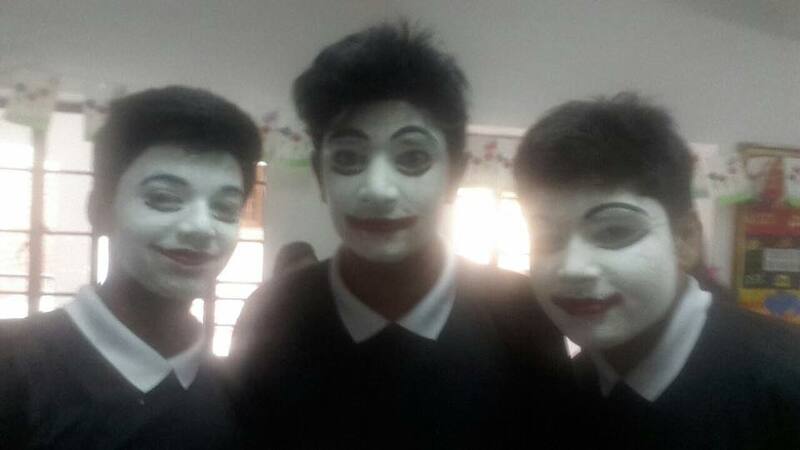 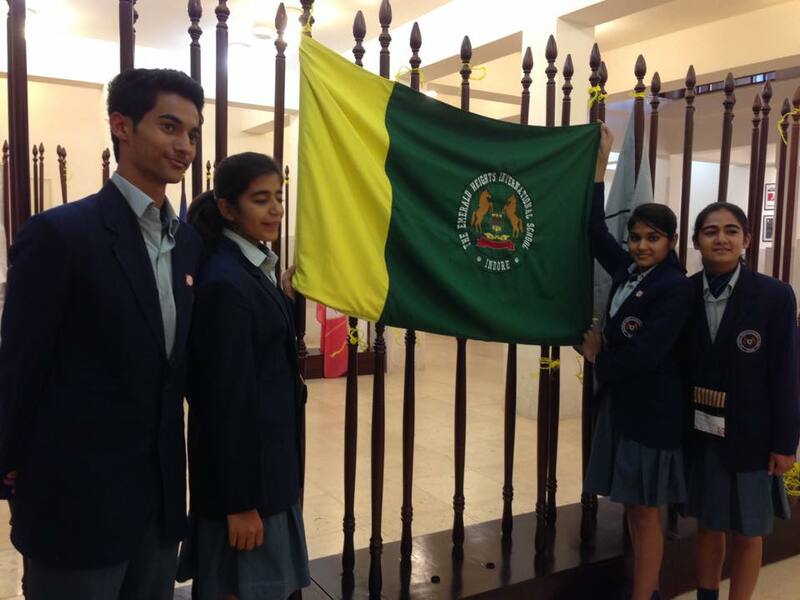 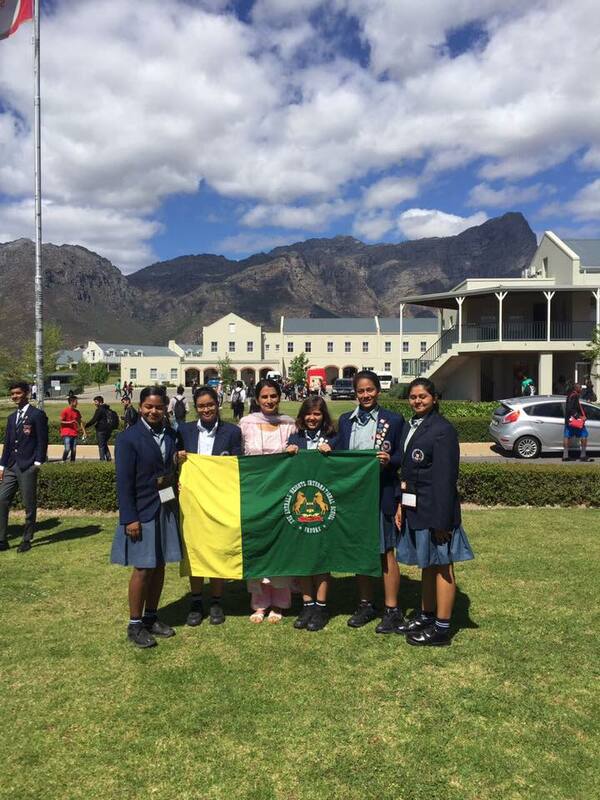 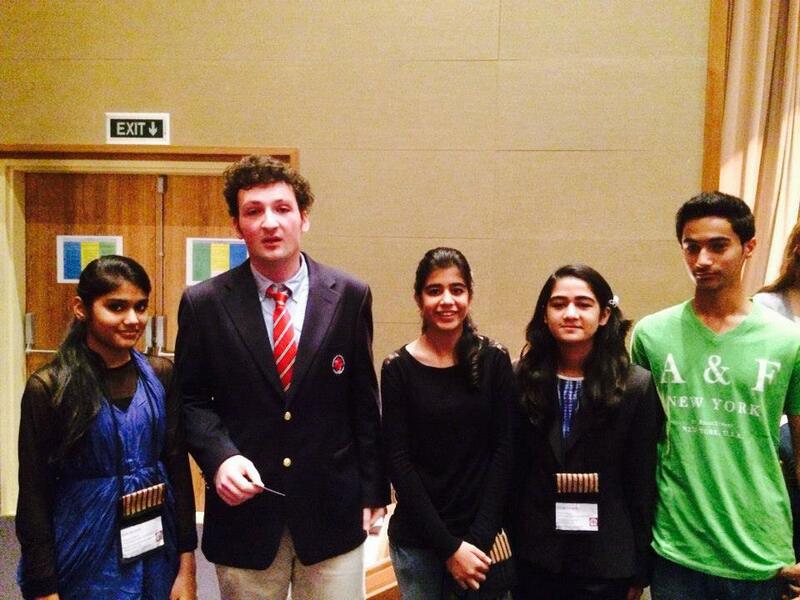 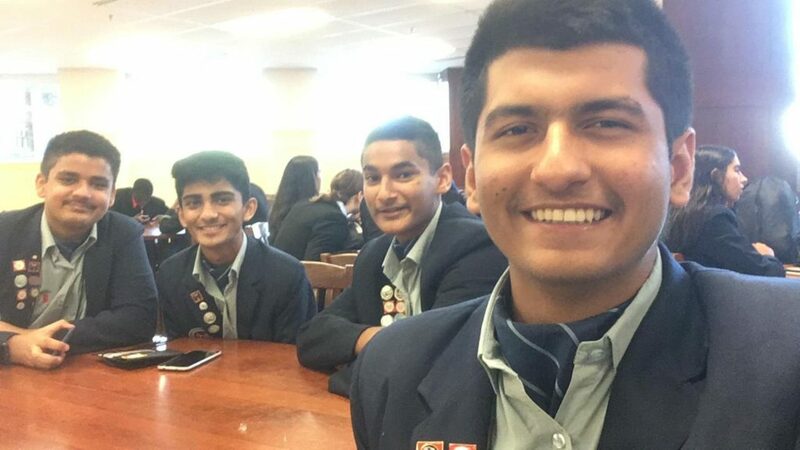 The school also facilitates short-term exchanges with other member schools. It recognizes that learning is most effective when it is practical, cross-cultural and collaborative, and when it is infused through a broad spectrum of inter, extra and co-curricular activities. 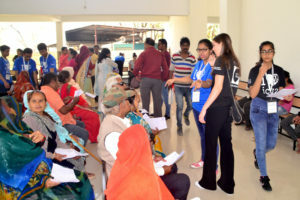 The Emerald Heights International School and Ermitage International School of France in association with Choithram Netralaya successfully executed their first free Eye Check-up Camp in Indore. 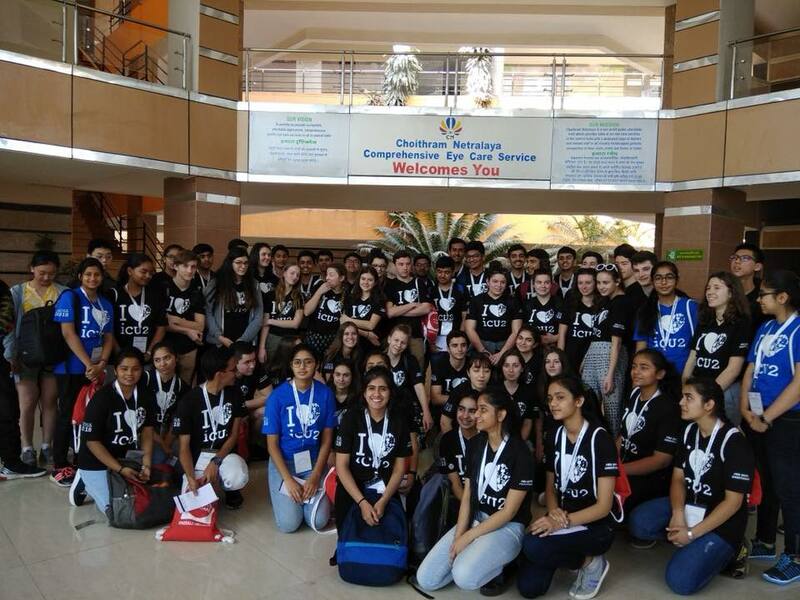 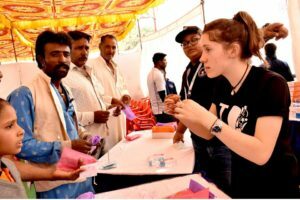 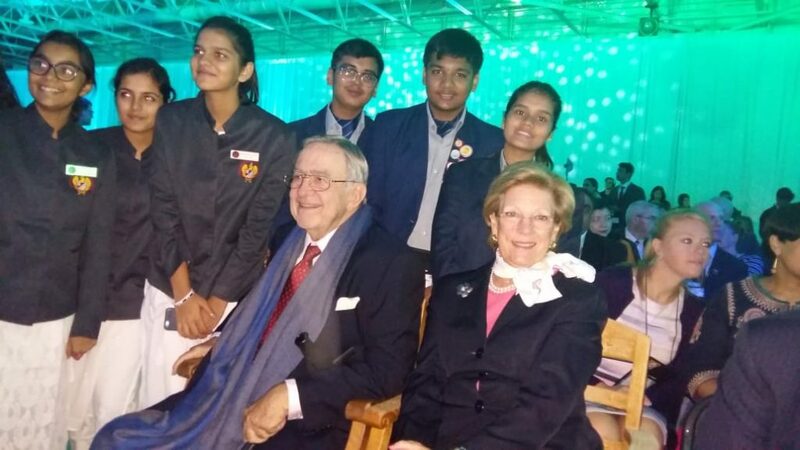 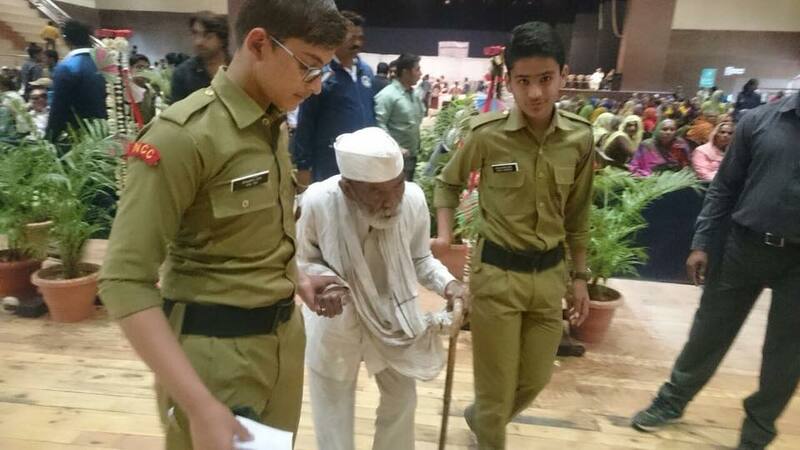 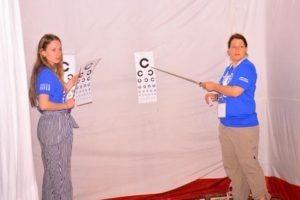 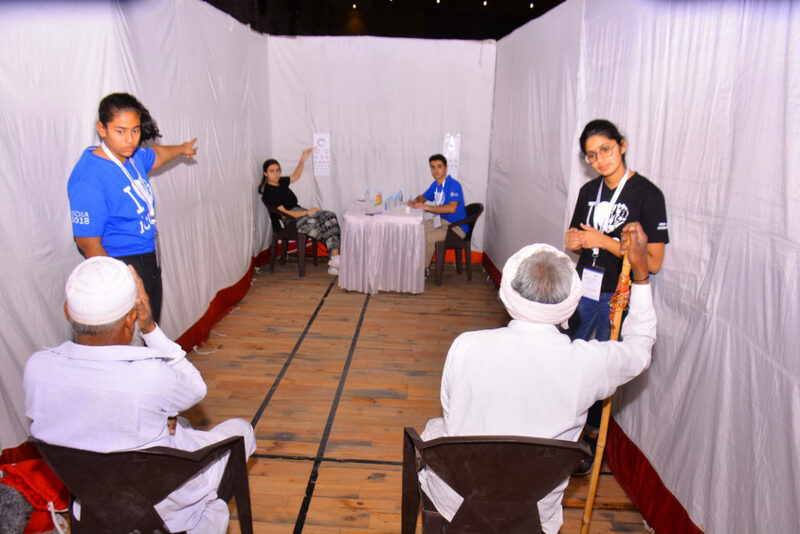 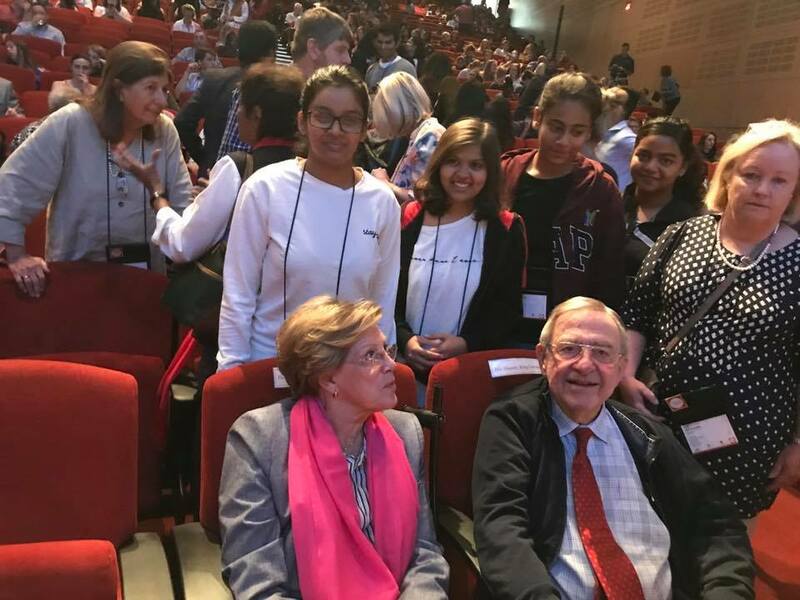 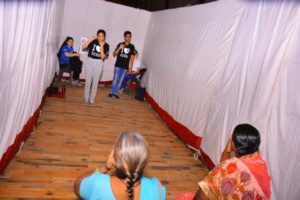 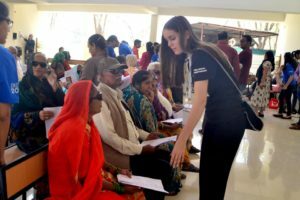 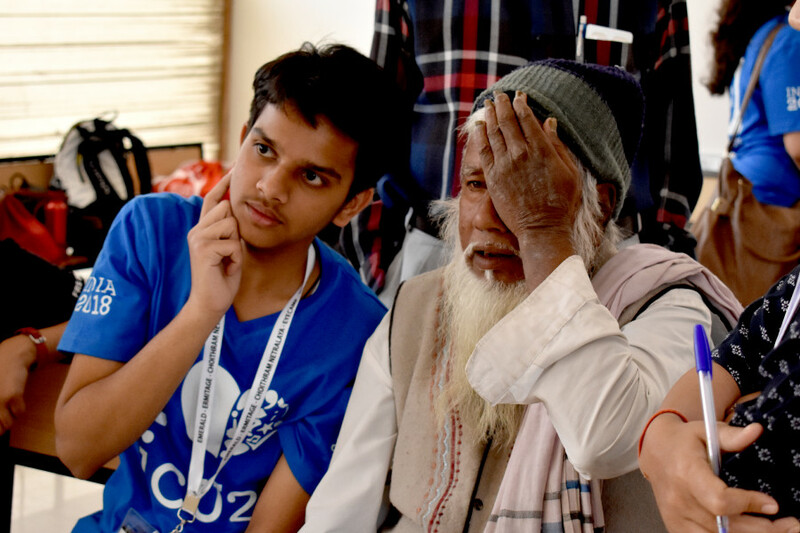 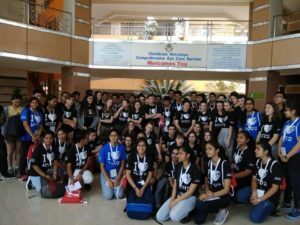 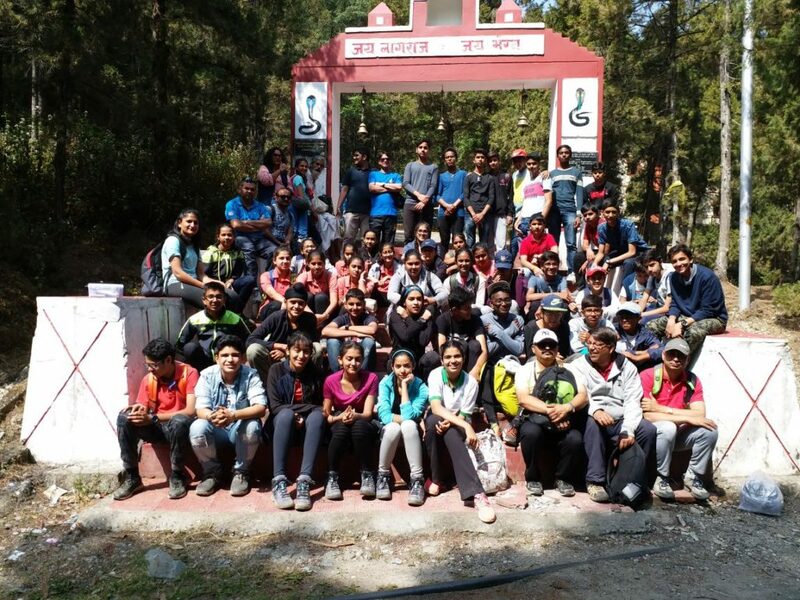 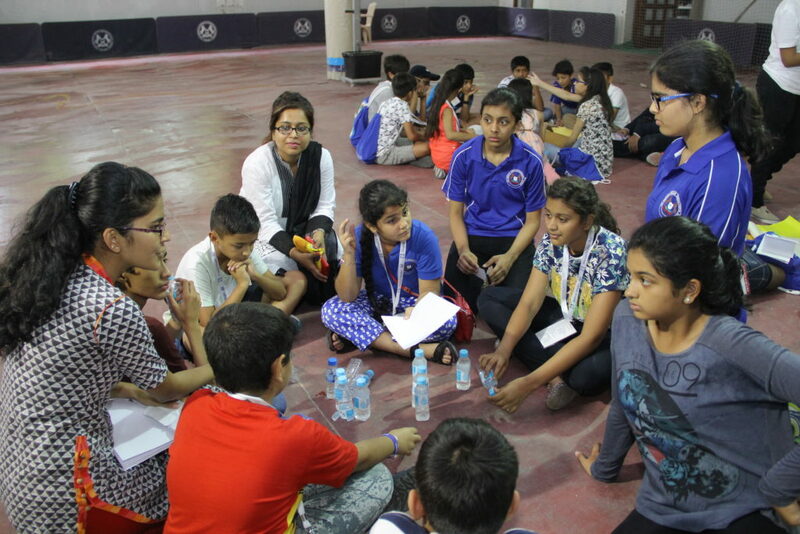 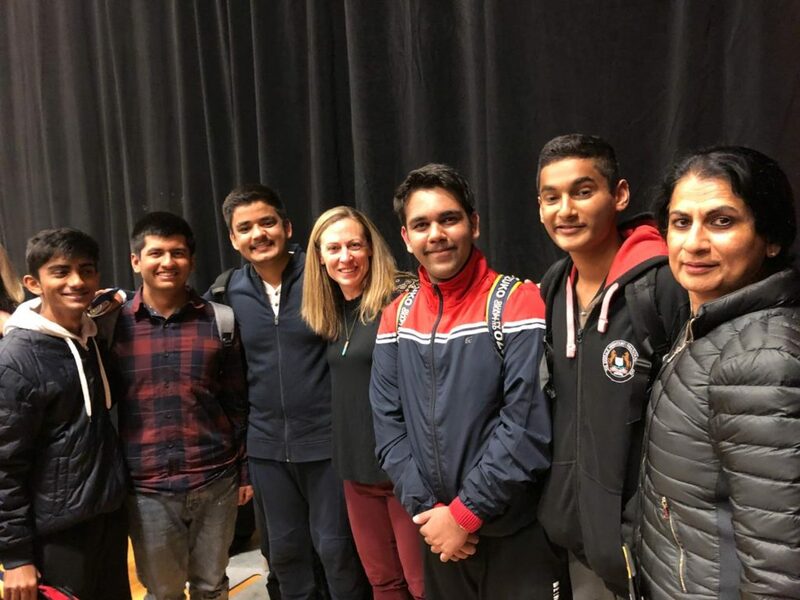 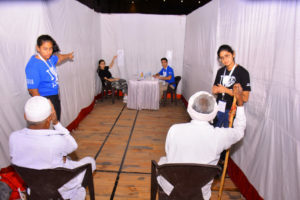 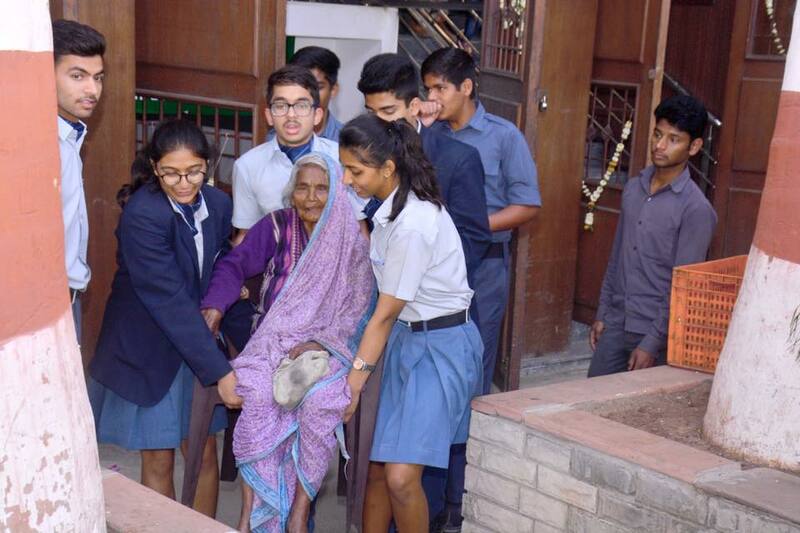 In a four days camp, French students worked with Eye Specialists of Choithram Netralaya and the students of the Emerald Heights and diagnosed more than 12000 people, distributed more than 8000 spectacles and detected more than 150 cataracts. 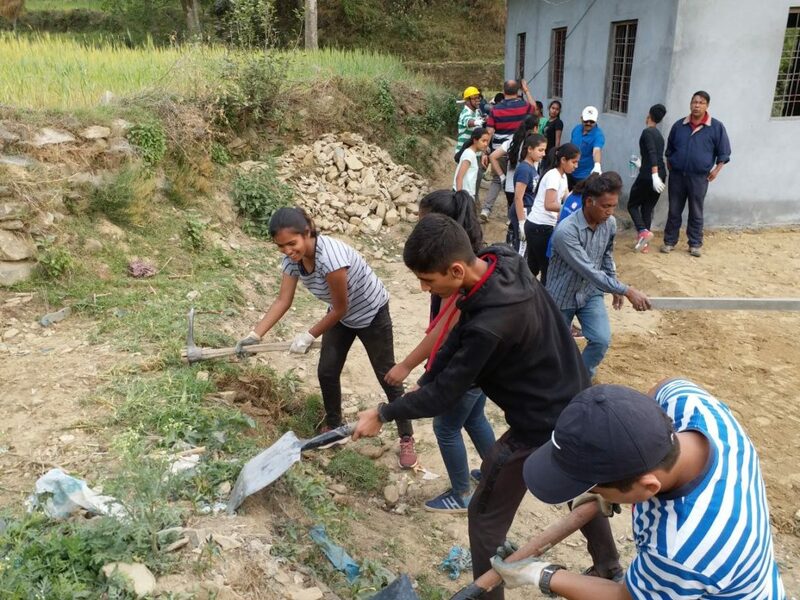 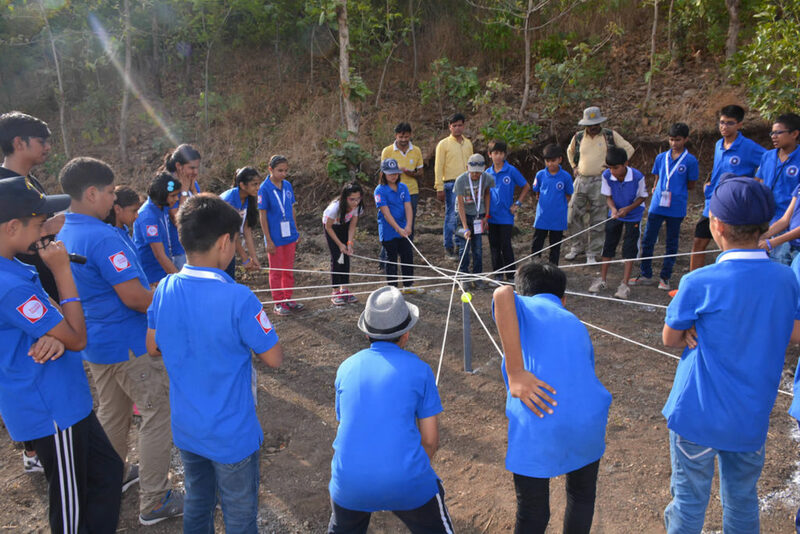 On February 19 & 20, 2018 the camp was organized at our school campus and February 21 & 22, 2018 at Panod and Khatrikehdi village respectively. 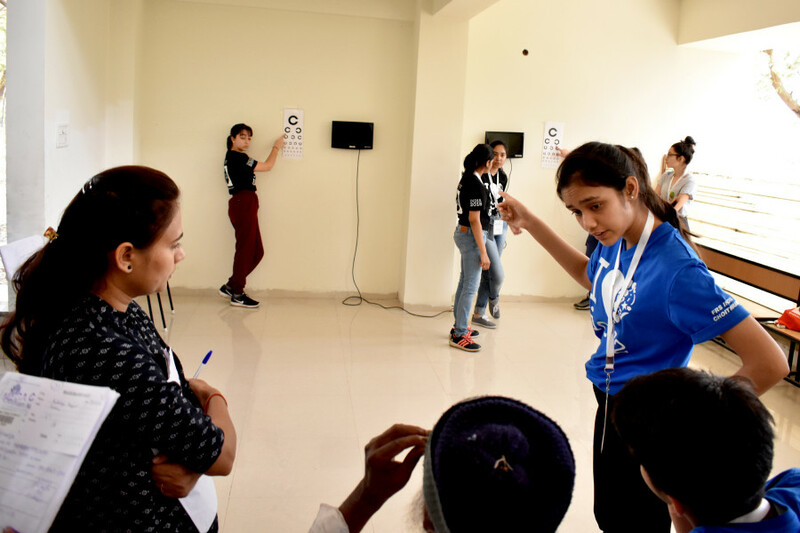 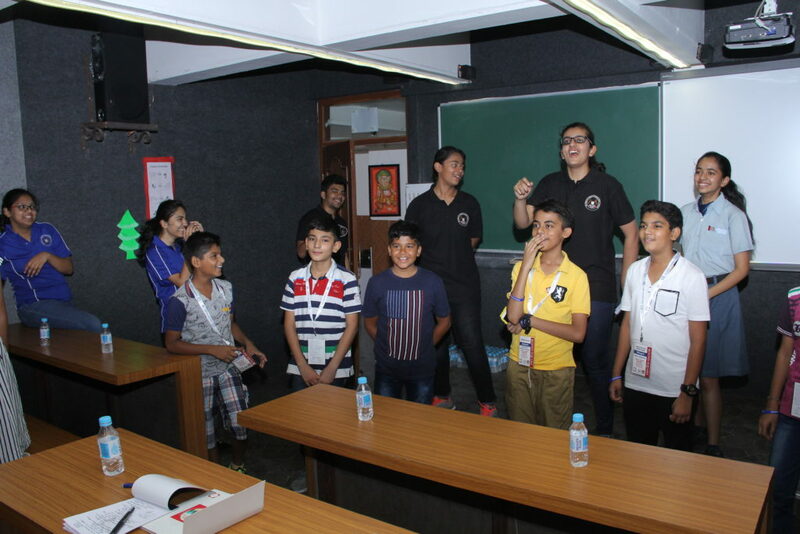 The group of 30 students, each from Ermitage School and the Emerald Heights were provided with the training by the experts from Choithram Netralaya for vision testing at the hospital and during the camp also the students were given guidance. 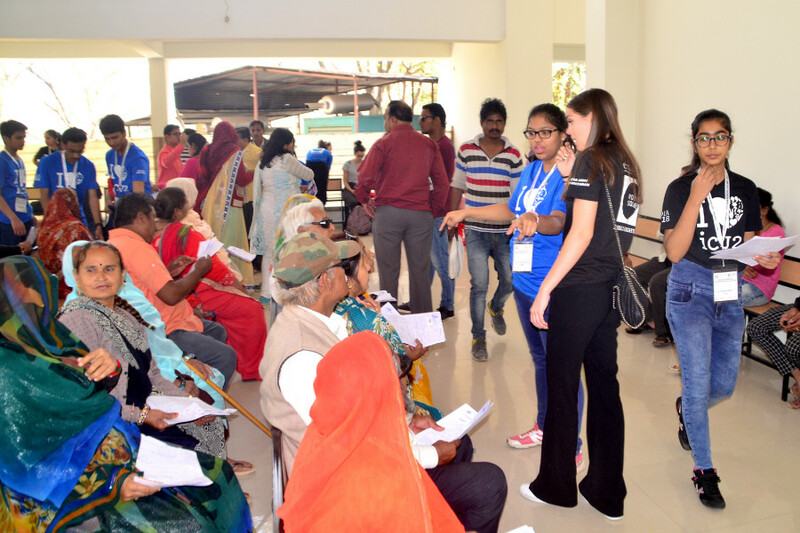 The patients who were detected with cataract were sent to the hospital for further check-up. 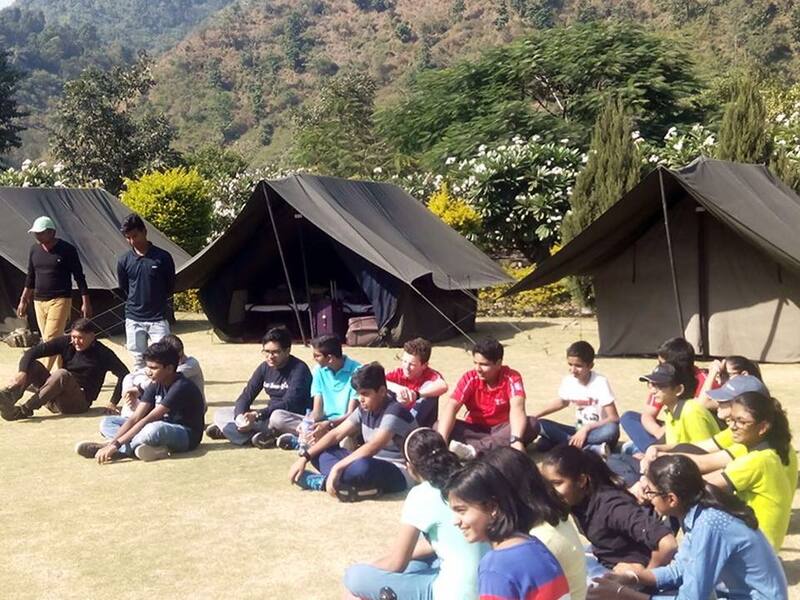 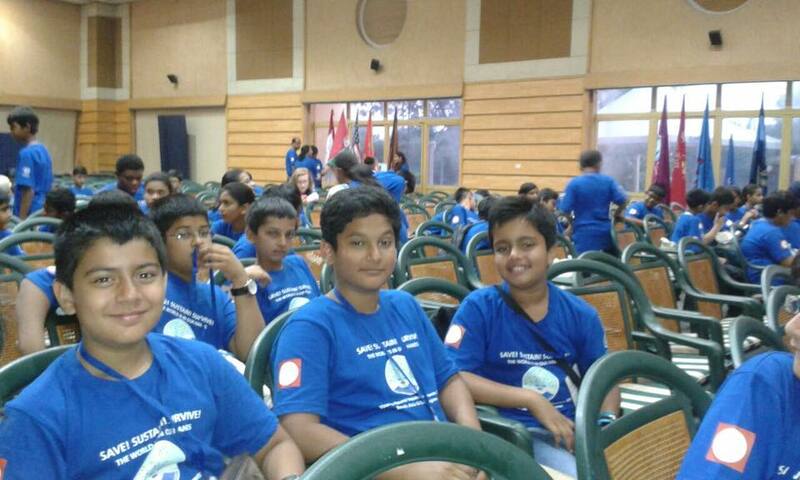 Mr. Christopher Hunter, Director, Ermitage School said, “The camp was a great learning experience for all our students”. 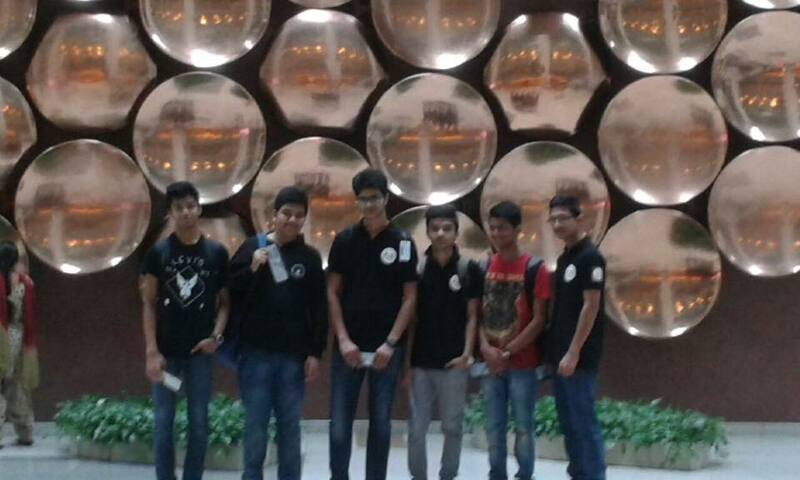 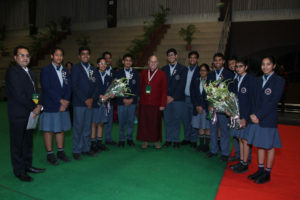 Here they not only understand the Indian culture and people but also they get to know what problems prevalent here. 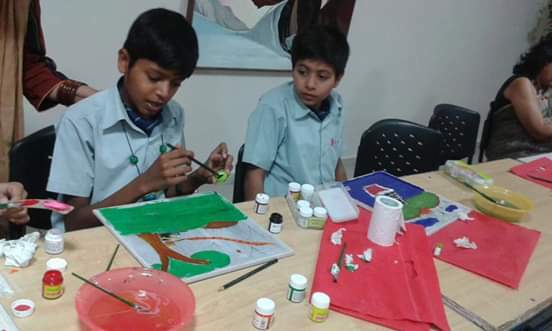 The students of both the schools also visited Deaf Bilingual Academy in Gumasta Nagar and National Blind School in Vijay Nagar on February 23, 2018. 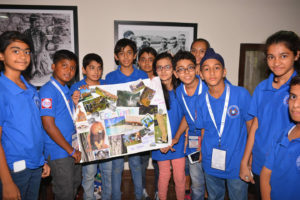 All the students who have participated in this camp will receive the certificate jointly from Friends of Round Square, Ermitage School, France and the Emerald Heights International School. 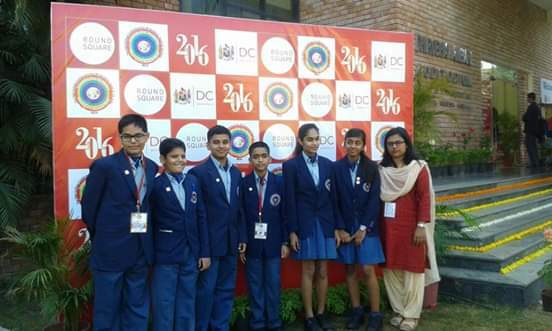 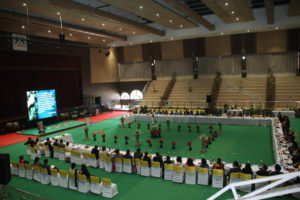 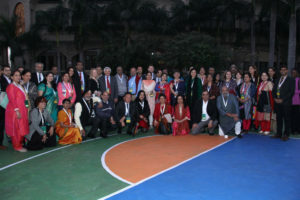 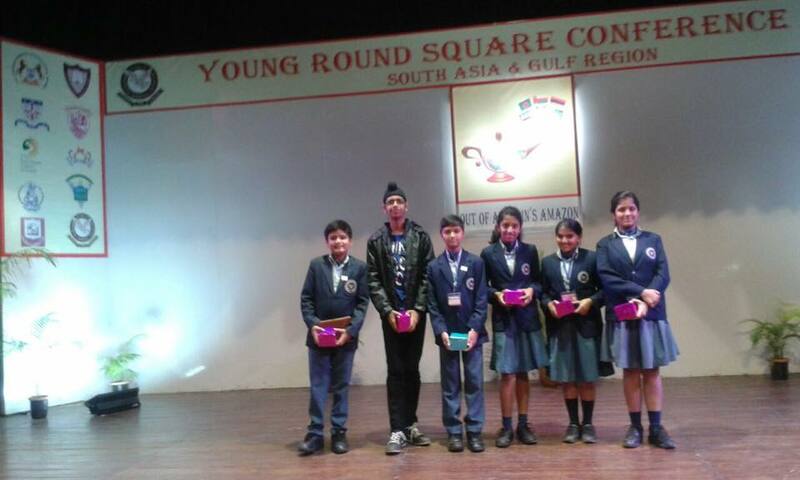 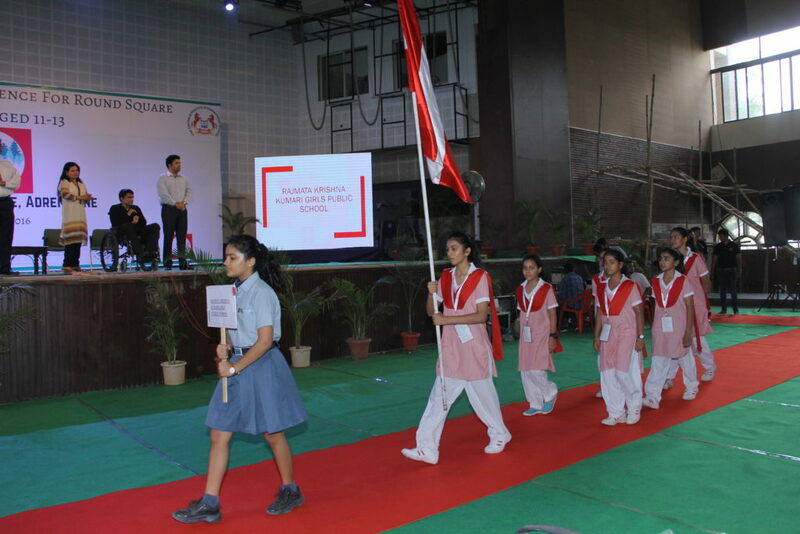 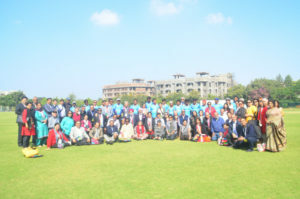 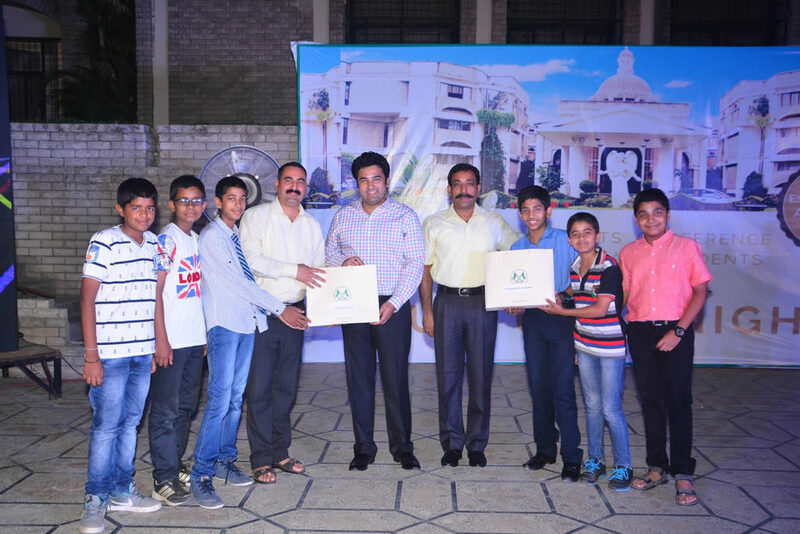 Annual Regional Meet (ARM) of Round Square Schools is held every year, which is hosted by the member schools. In 2017, the Emerald Heights International School hosts the ARM-2017 for South Asia and Gulf Region member schools from January 05-07, 2017. 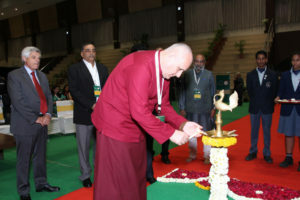 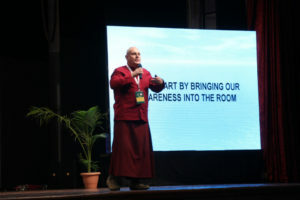 The Chief Guest for the opening ceremony was Lama Yeshe Rabgye. 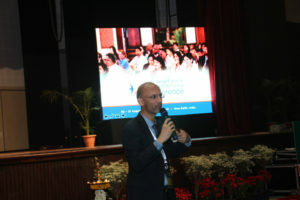 He addressed the audience on Professional Development. 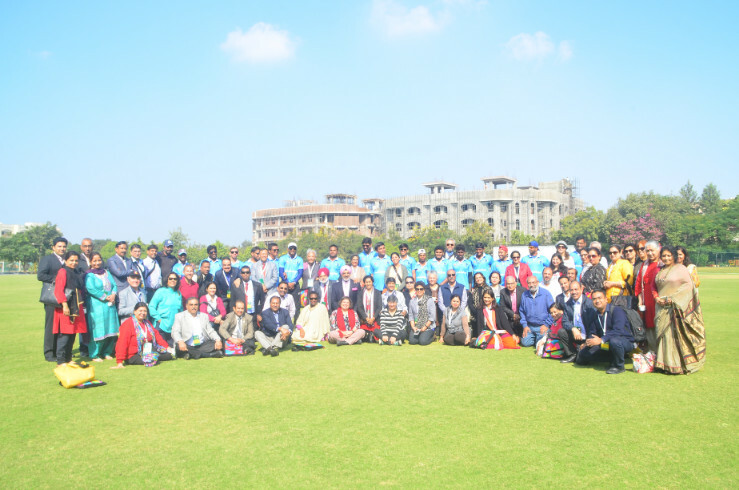 ARM-2017 had full participation of the Principals and the Round Square Reps of the member schools from the region. 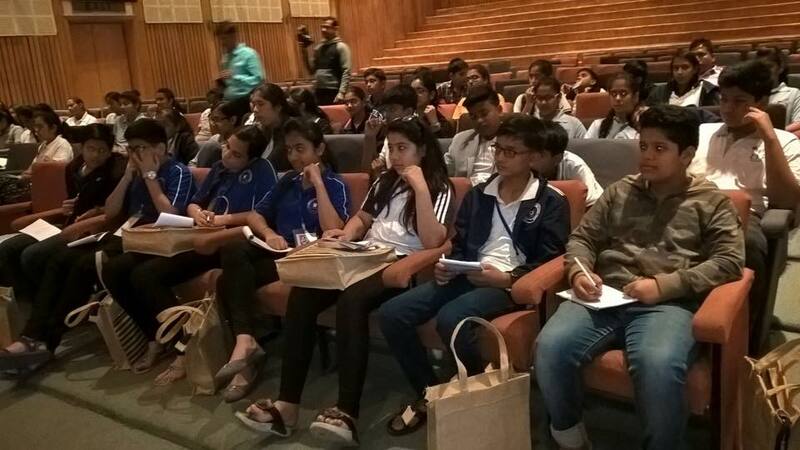 During the meeting the school has planned a visit to Maheshwar which happens to be significant place of historic importance for us in the Malwa region of Central India. 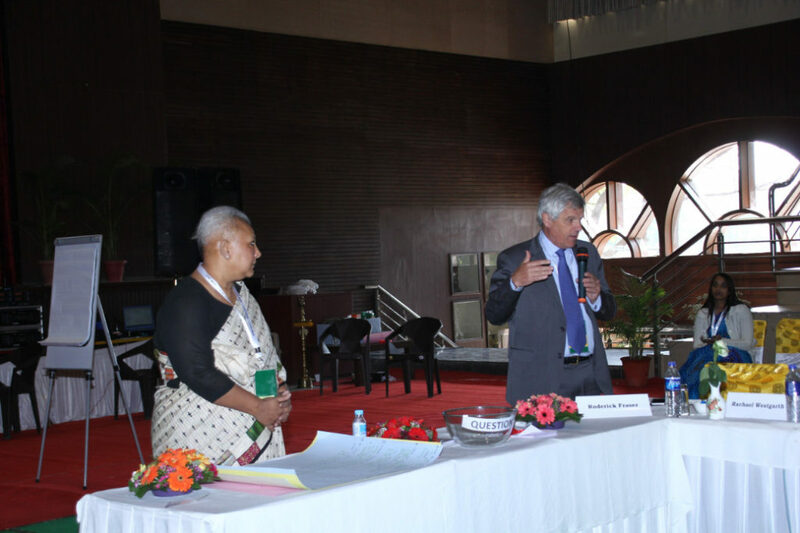 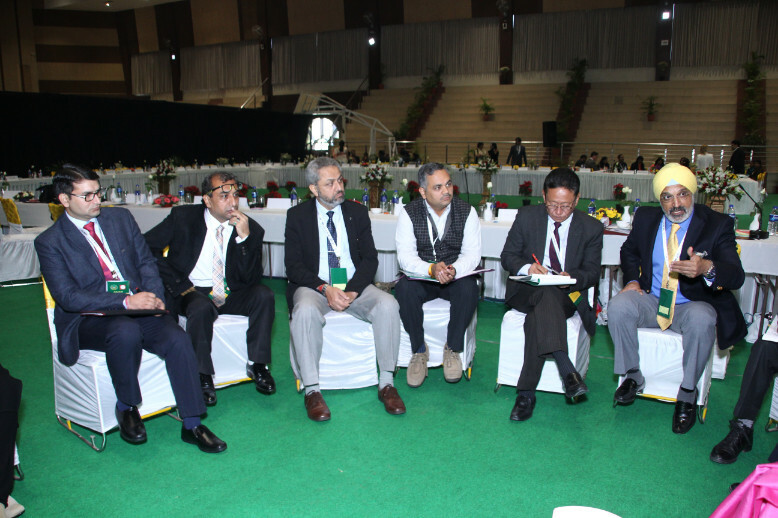 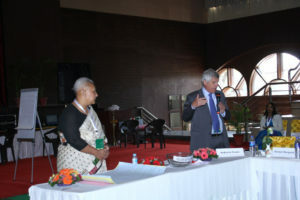 Mr. Ganesh Kohli of IC3 also addressed the Principals and other delegates. 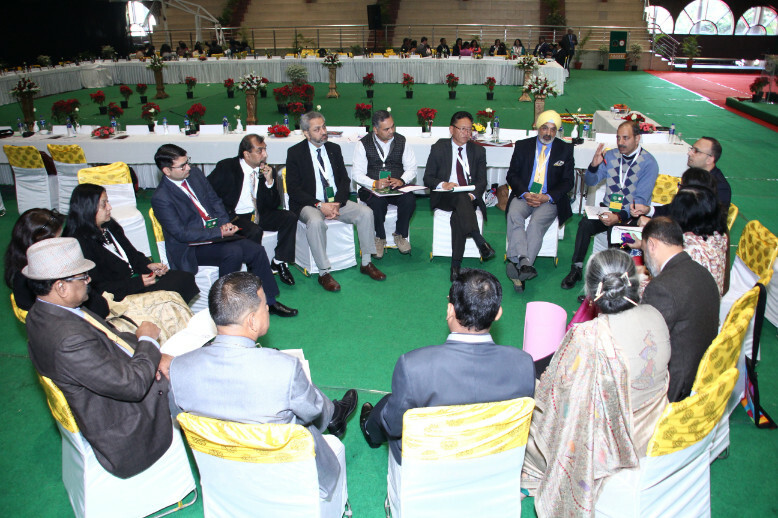 During the meeting the Principals and the Reps discuss the activities of the entire year of the member schools under the guidance of the Regional Director Mrs. Papri Ghosh who happens to be the Principal of Indian High School, Al Gubrah, Muscat, Oman. 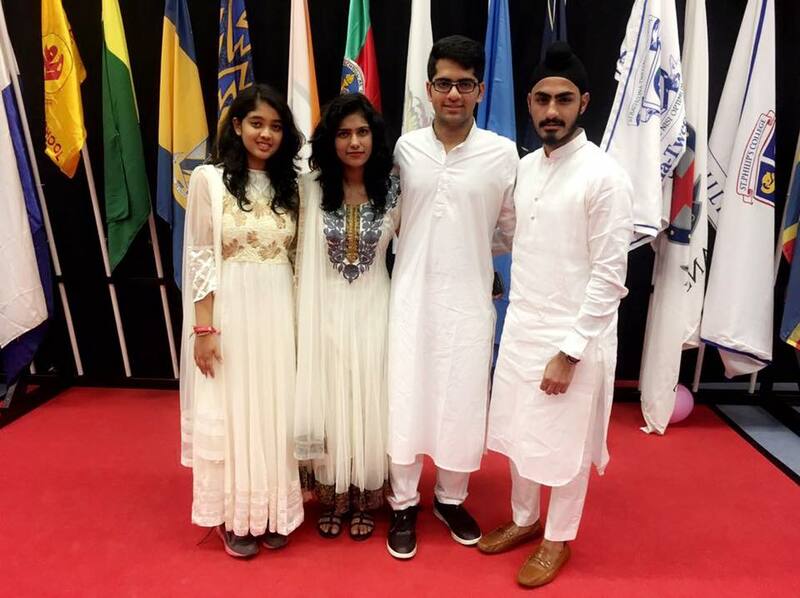 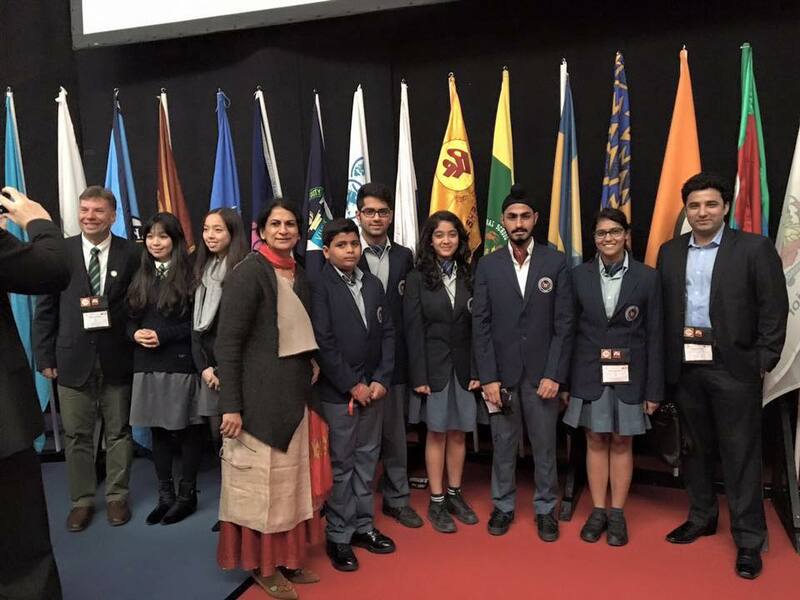 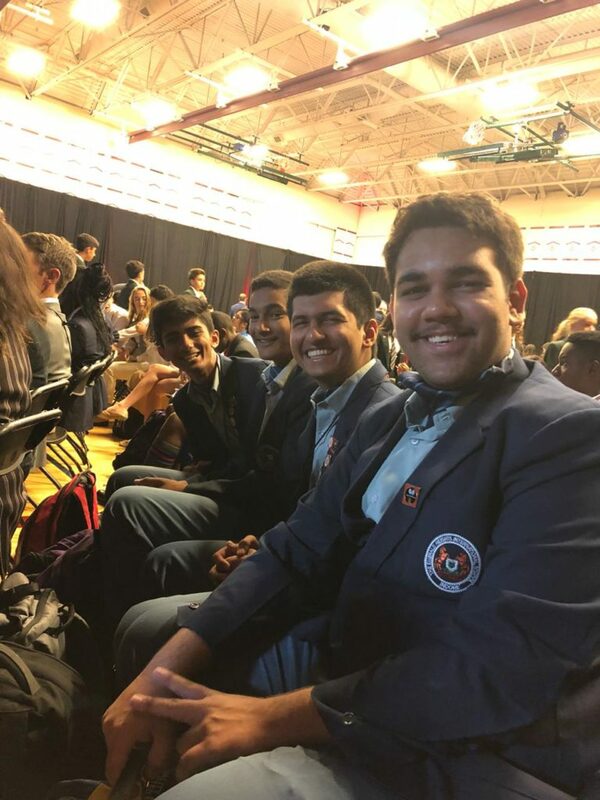 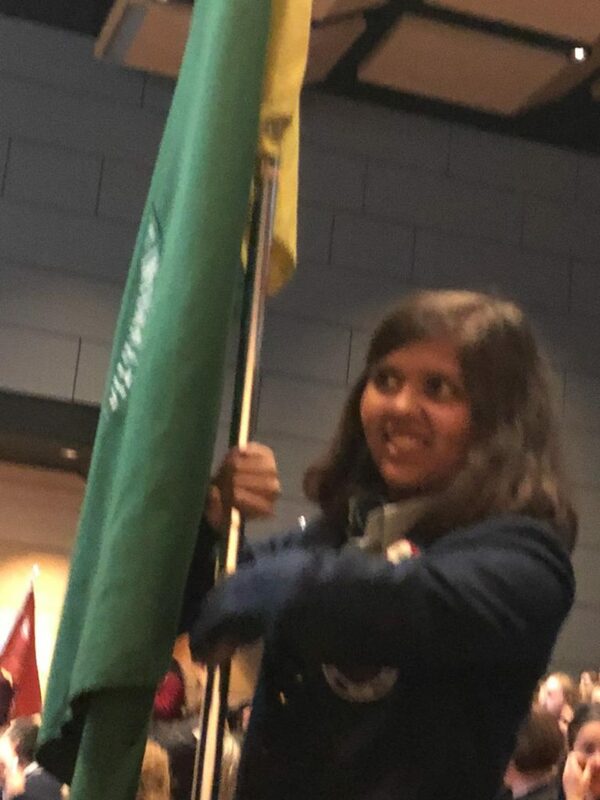 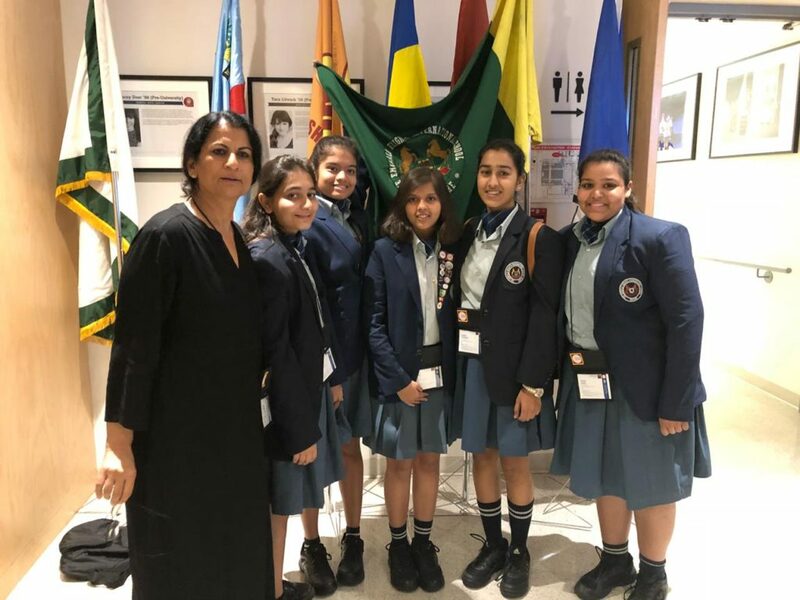 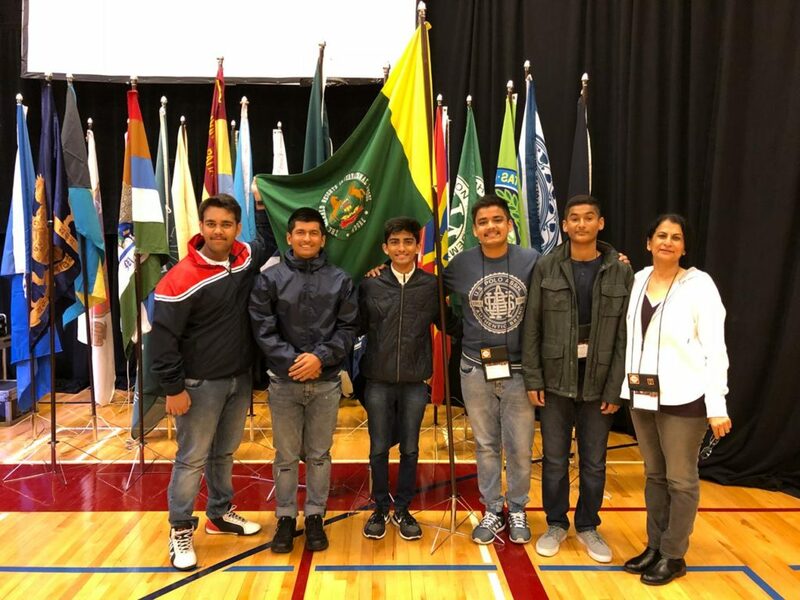 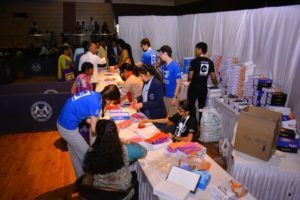 The entire conferences, intercultural programmes, Model United Nations Conferences and community service projects are discussed and allotted appropriate dates spread throughout the year. 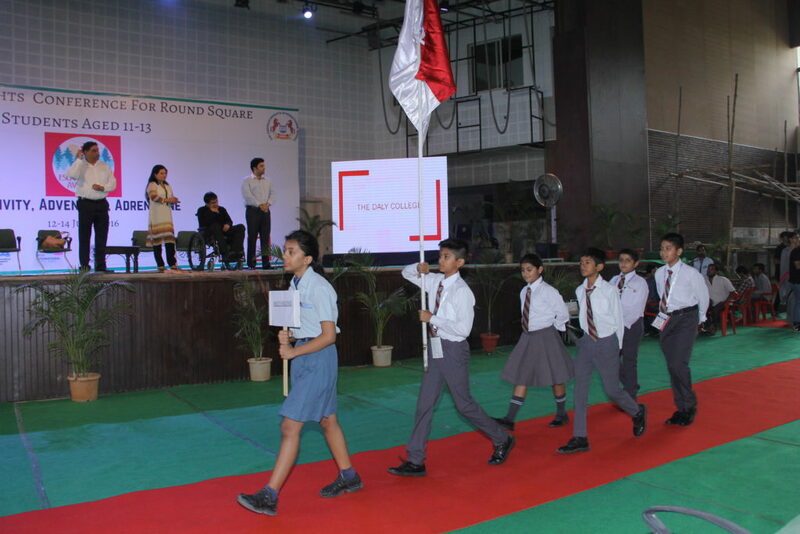 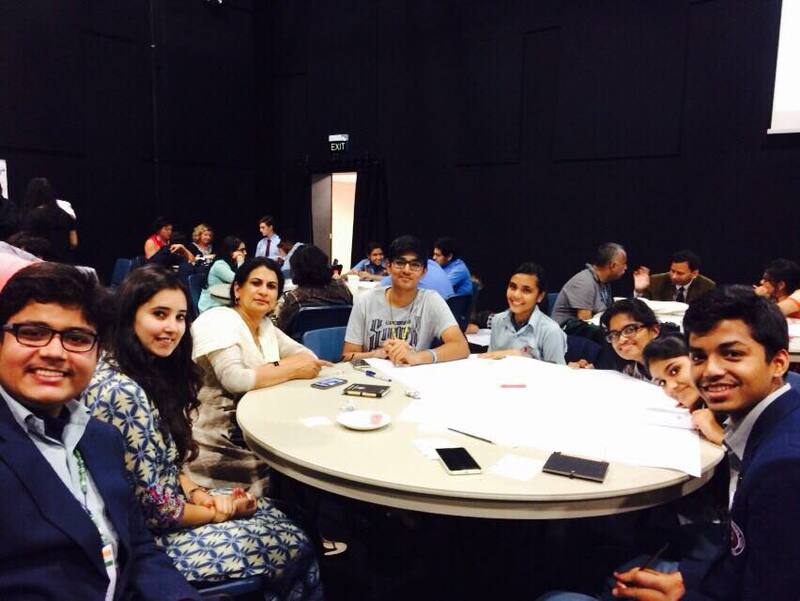 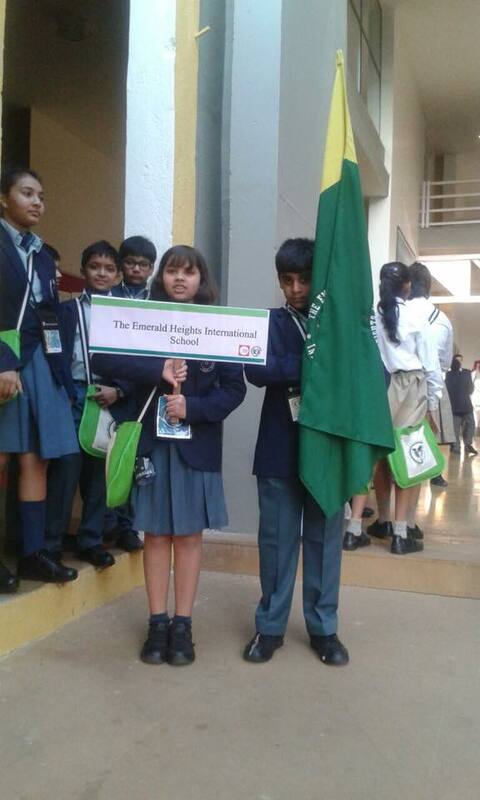 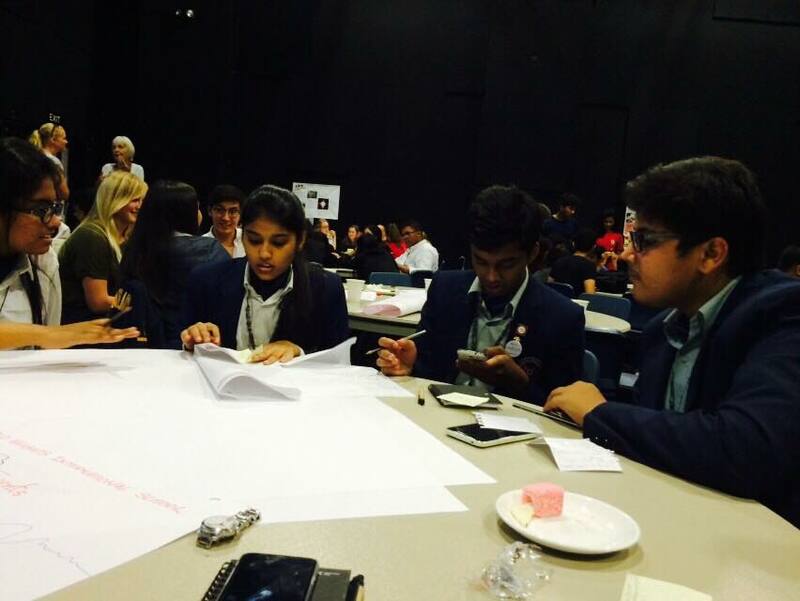 The Emerald Heights International School hosts Round Square Conference for students aged 11-13 years from June 12 to 14, 2016. 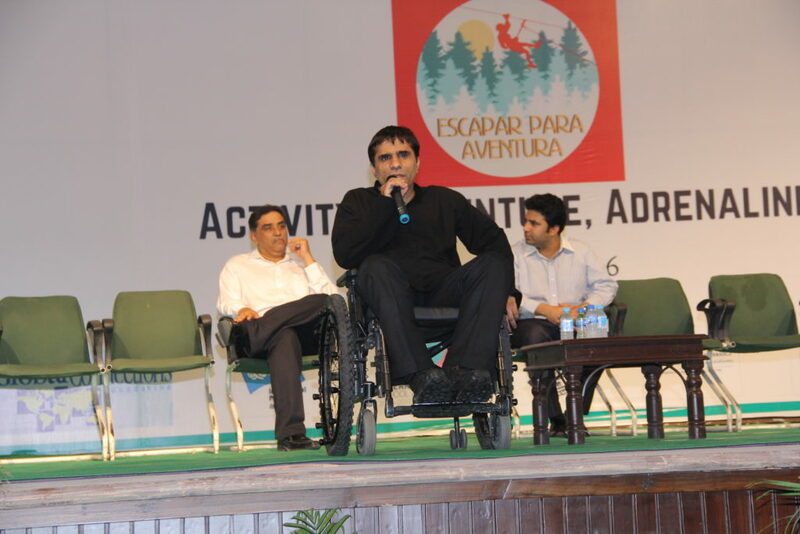 The theme for the conference was Escapar Para Aventura based on Adventure and Environment. 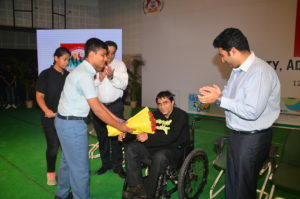 The chief guest for the opening ceremony was Captain Navin Gulia, Ex-Army Officer, Celebrated Author, Renowned Motivational Speaker and an Adventurer. 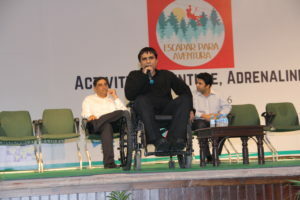 After suffering from lower body injury while serving in the army at the age of 22 he has involved himself totally in adventure. 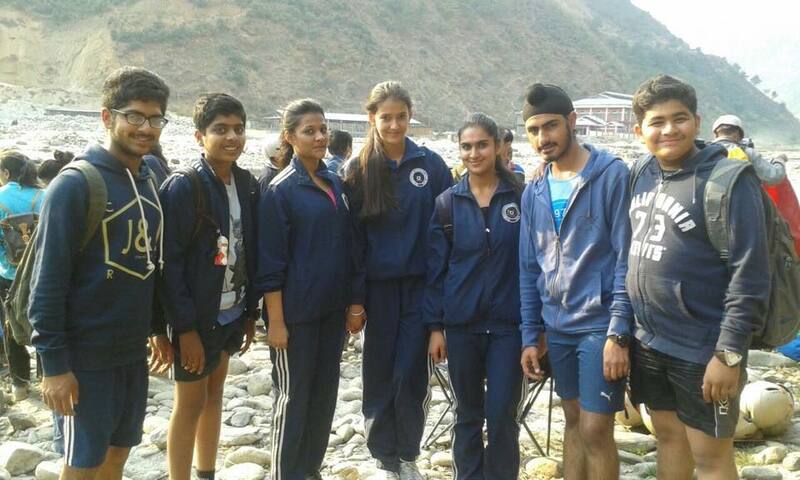 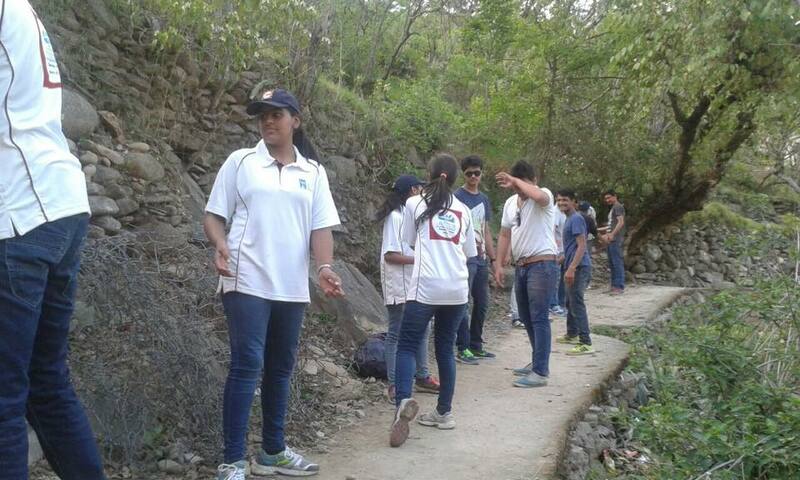 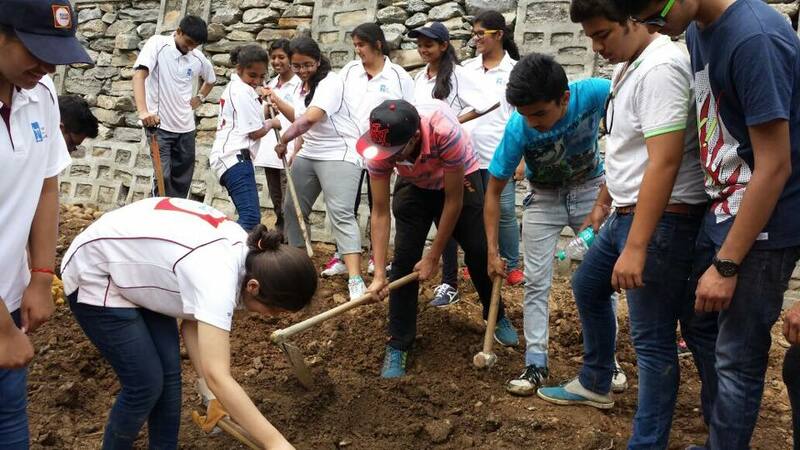 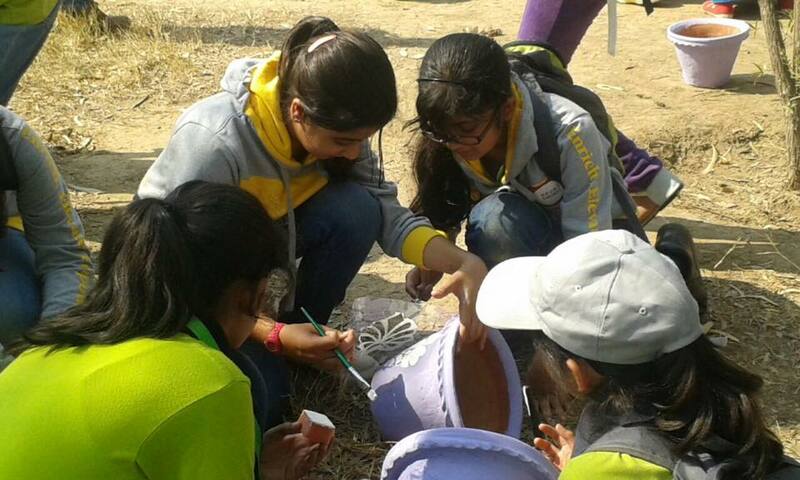 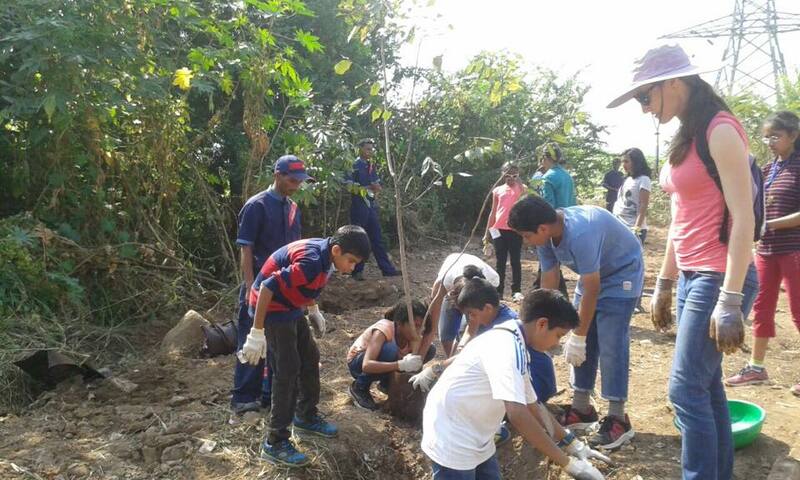 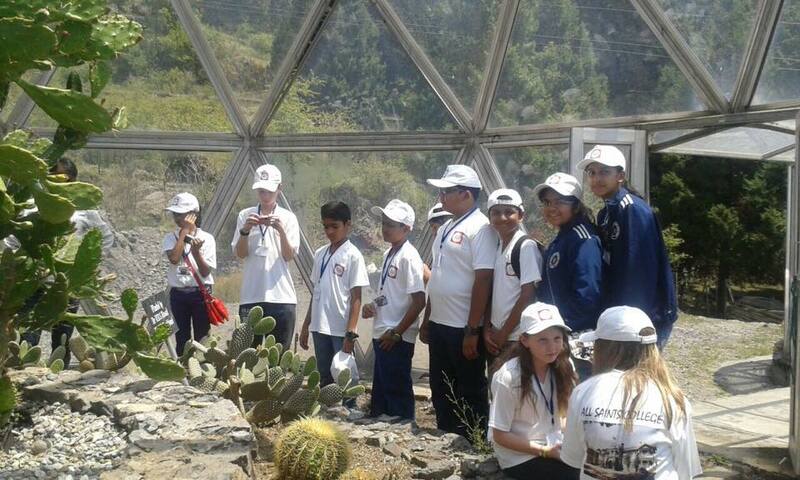 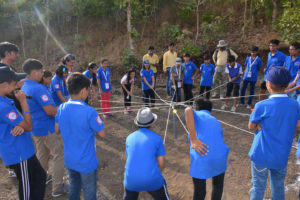 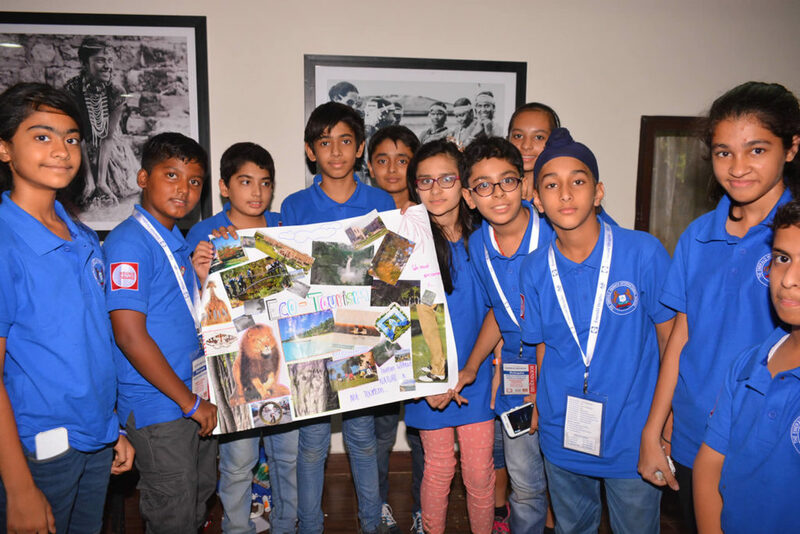 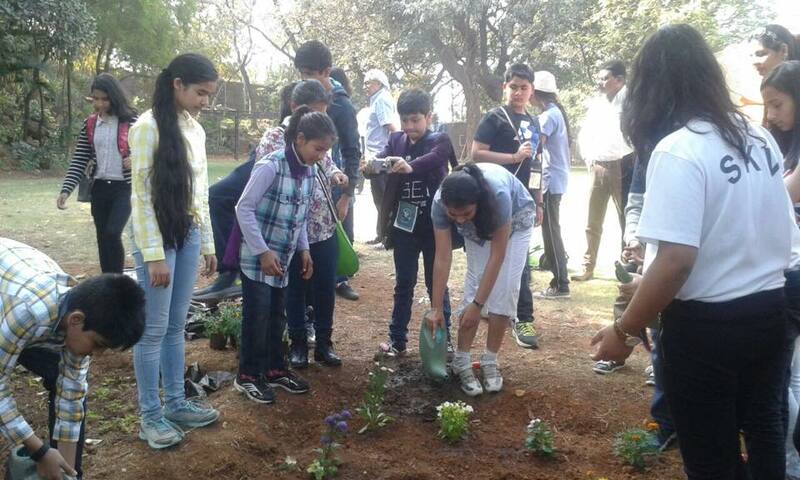 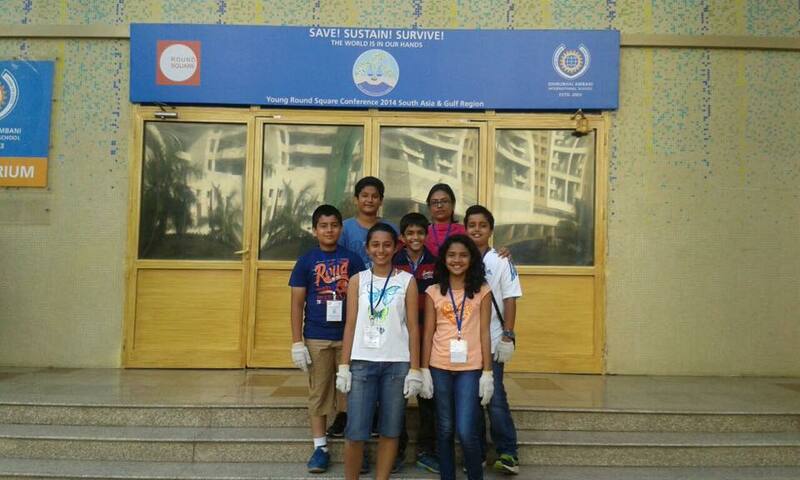 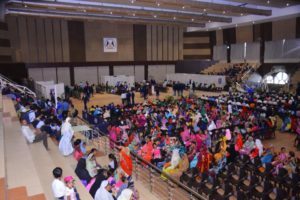 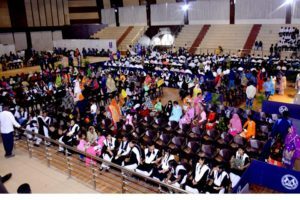 During the conference students were involved in the activities which inculcated the spirit of adventure and passion for environment. 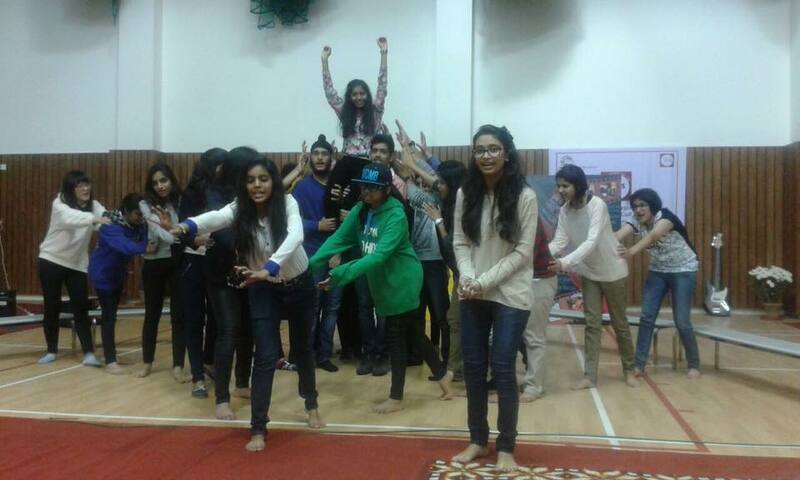 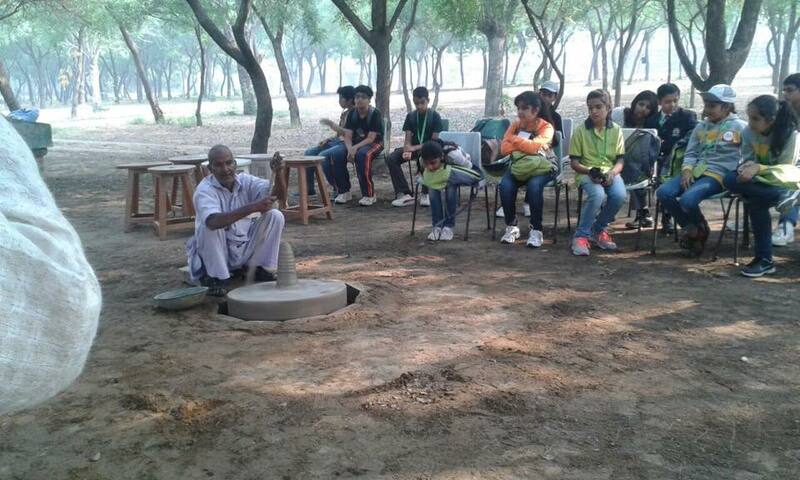 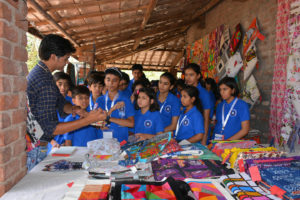 These activities included creative workshops and teaching children how to sustain the available resources. 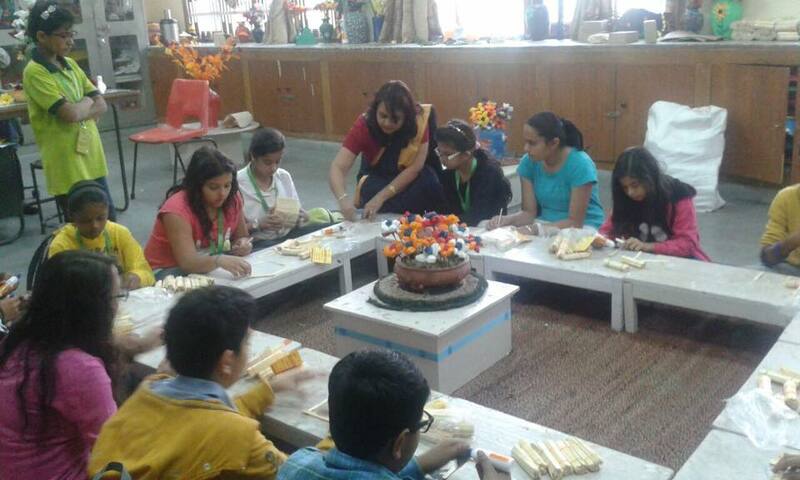 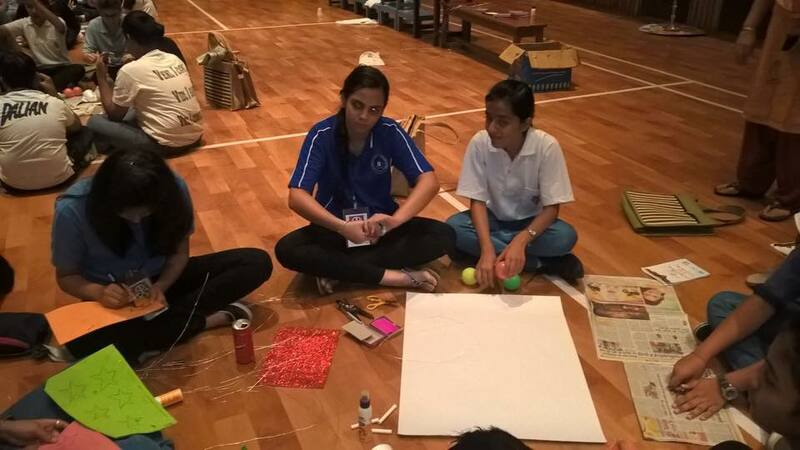 The conference included creative activity using waste and discarded material like newspapers, bottles, glasses, papers, paints, threads, wool, jute thread, left over colors, kite papers, etc. 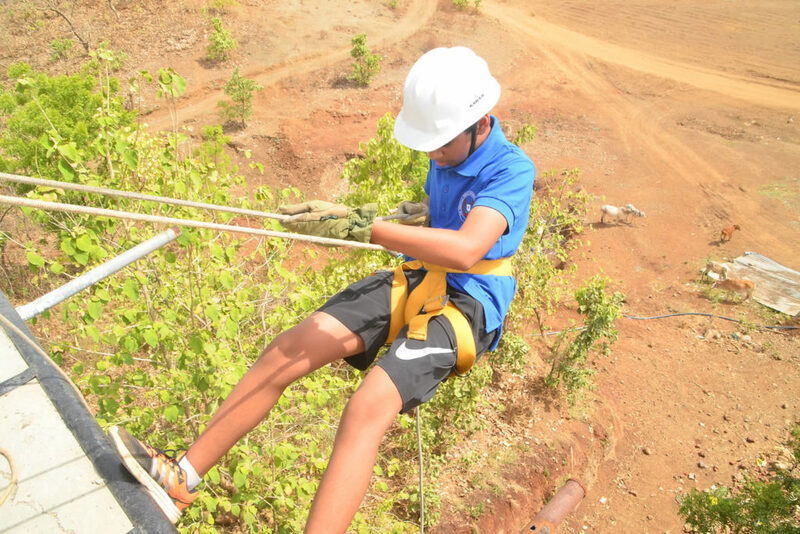 The young delegates also visited Flames of Forest which was a Hercules but a memorable experience where the delegates were involved in Rappelling, Flying Fox and Commando obstacles. 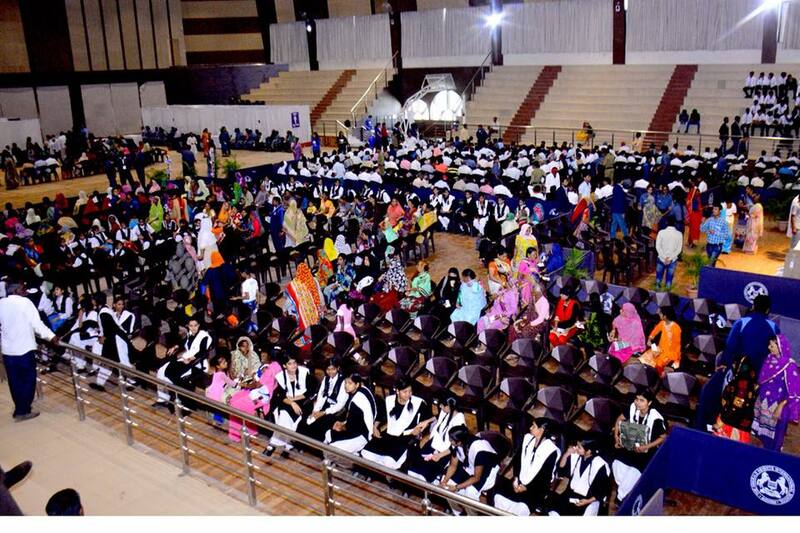 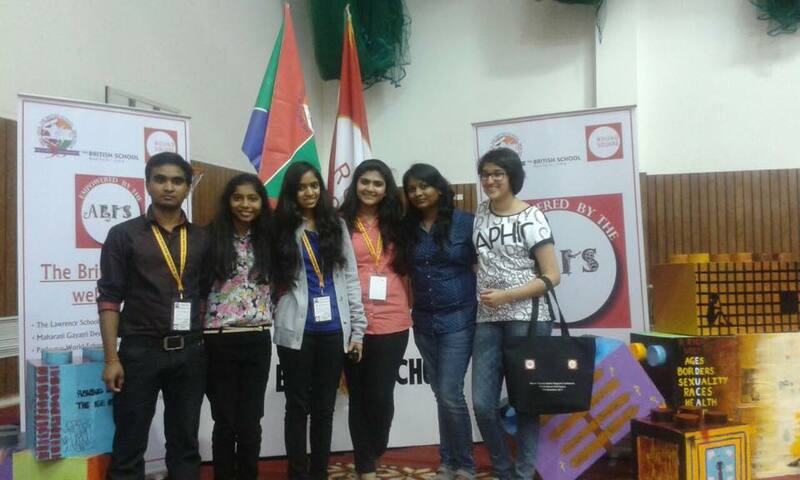 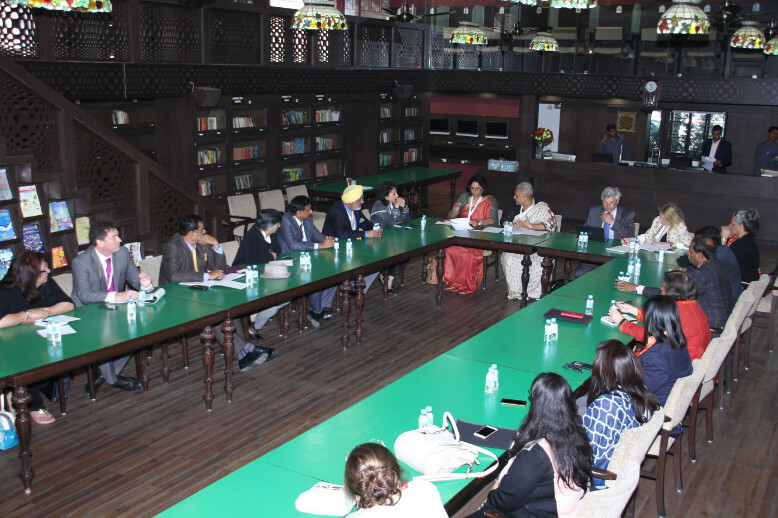 The conference involved 120 students hailing from 13 esteemed institutions from all across the nation. 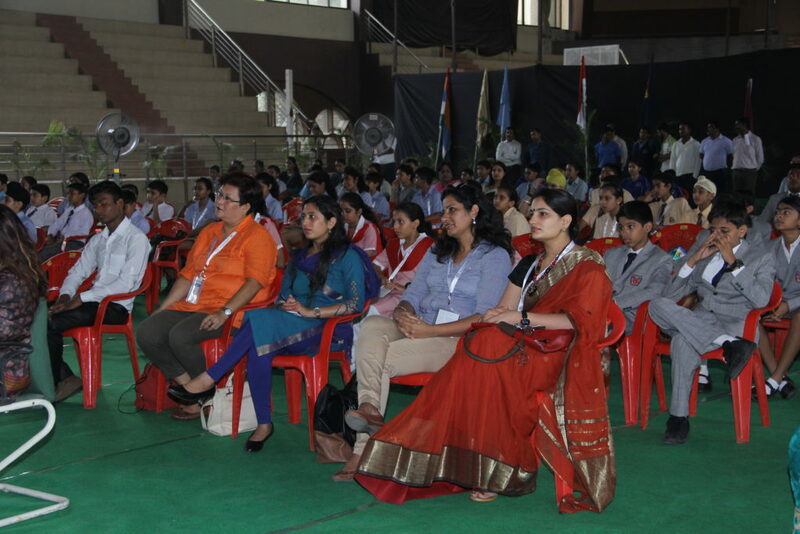 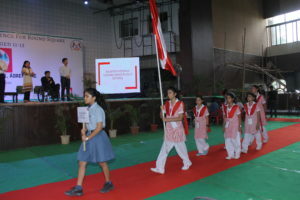 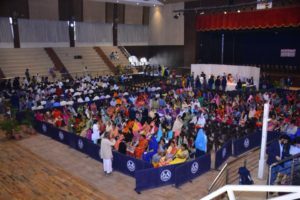 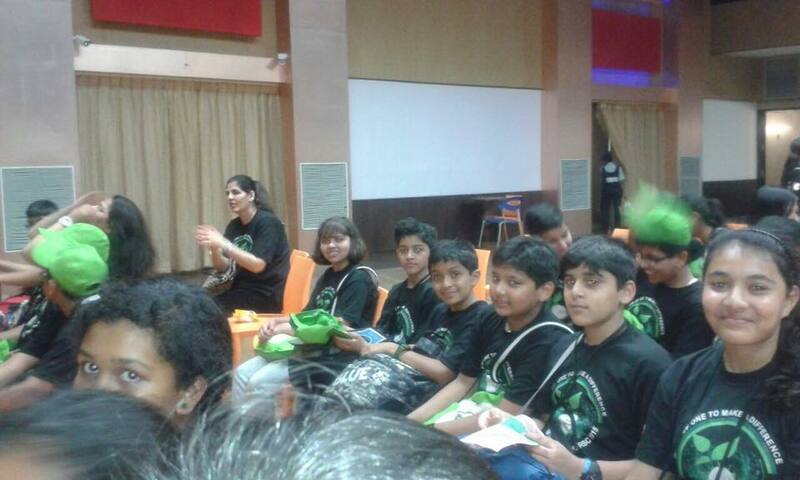 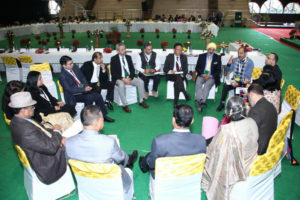 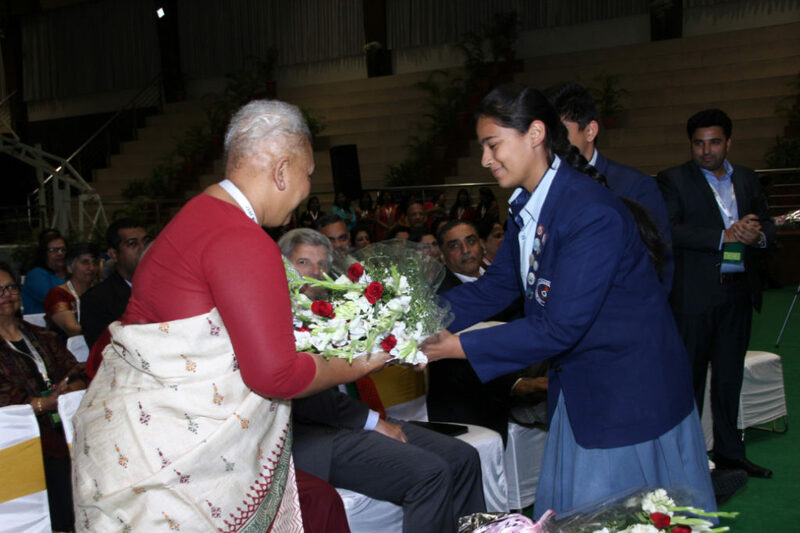 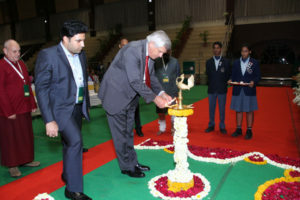 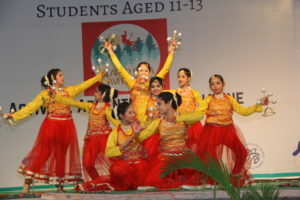 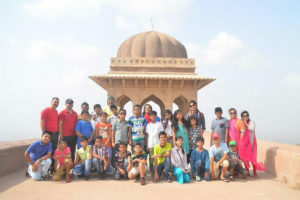 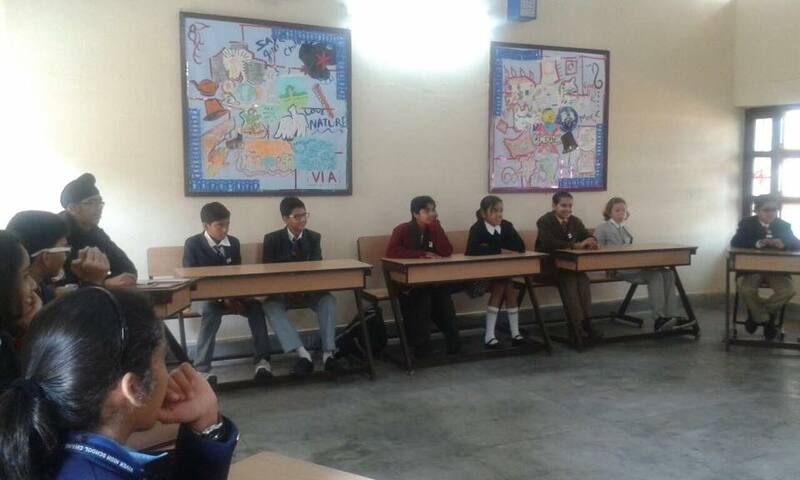 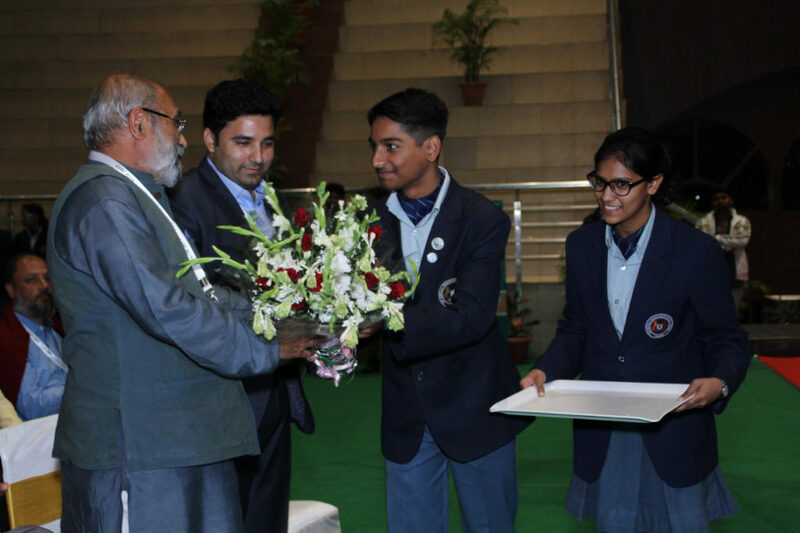 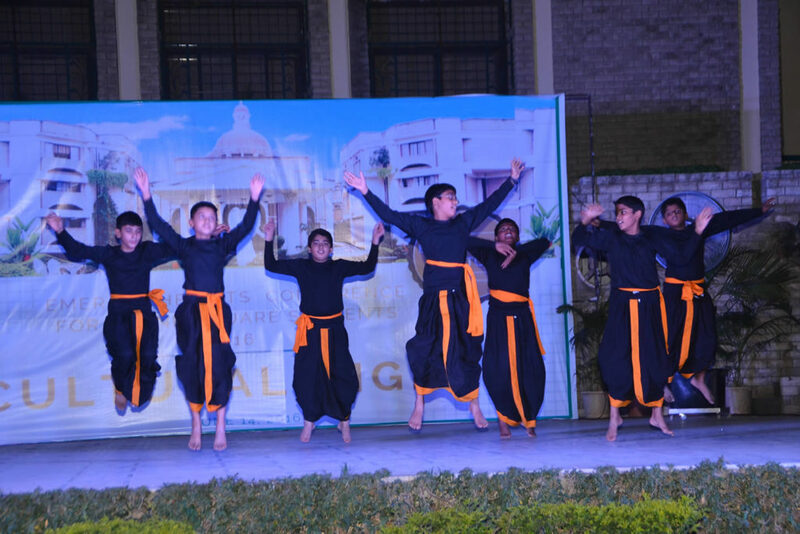 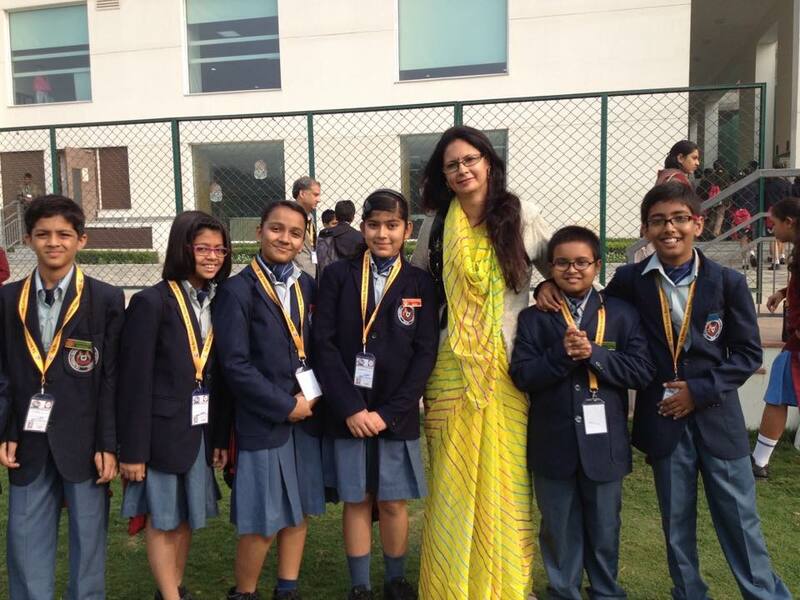 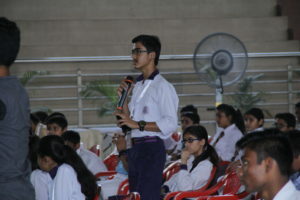 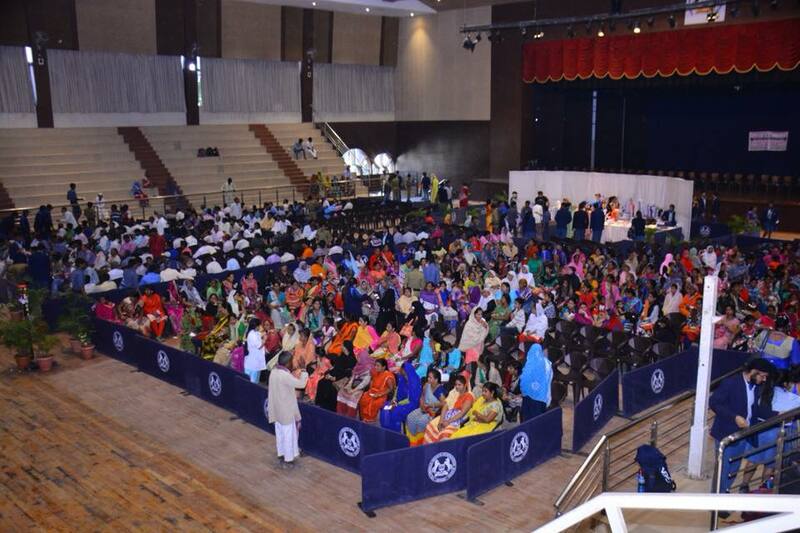 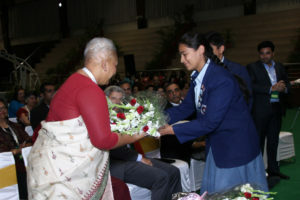 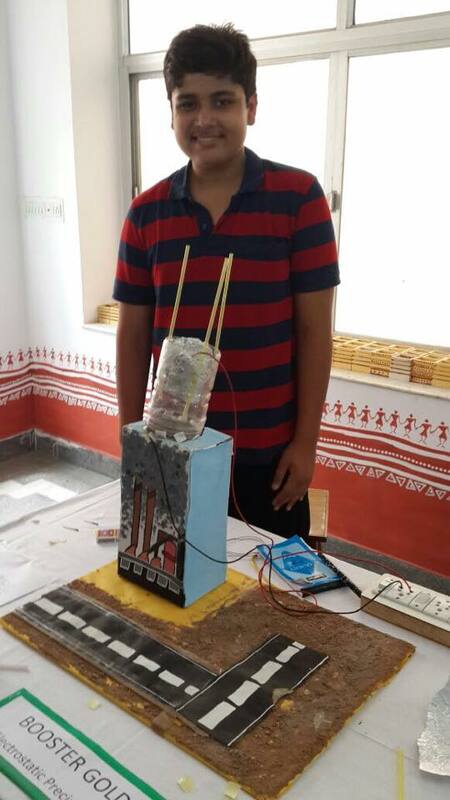 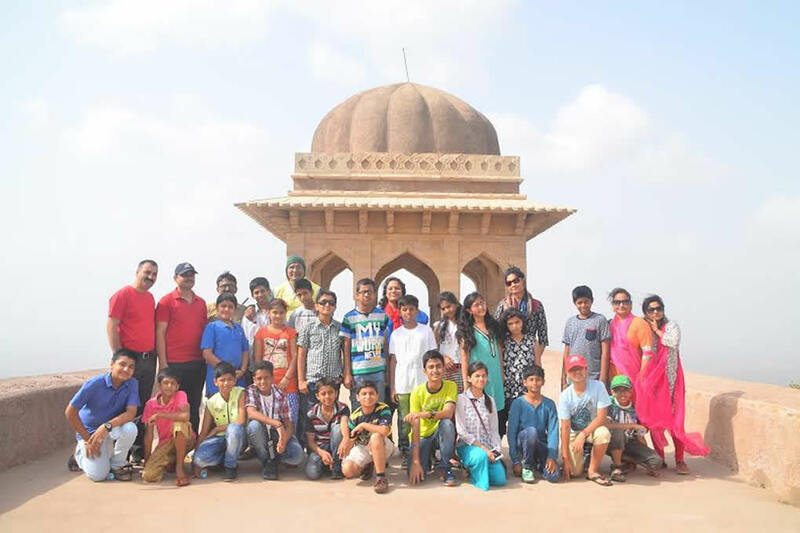 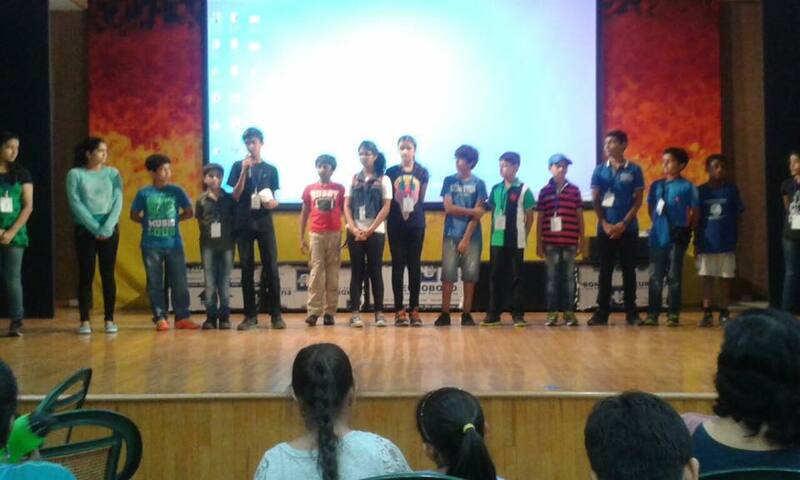 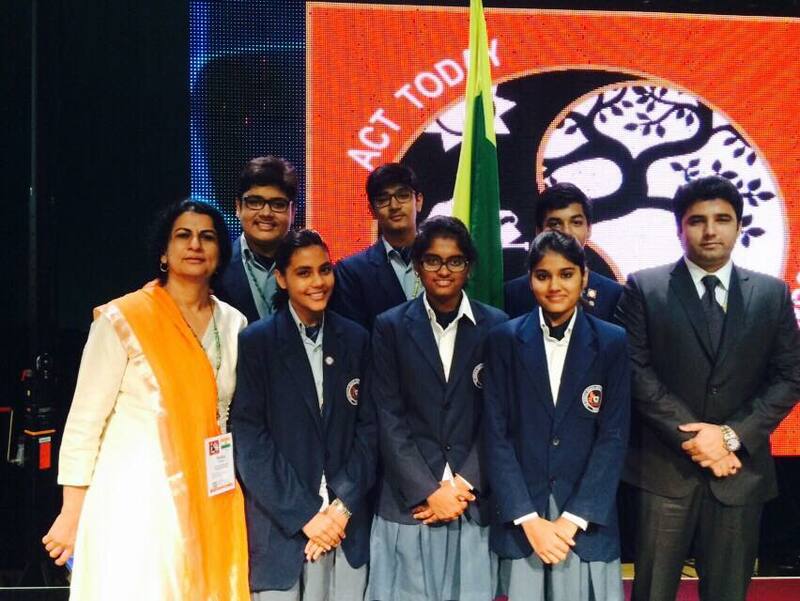 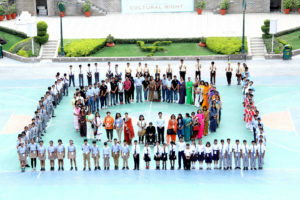 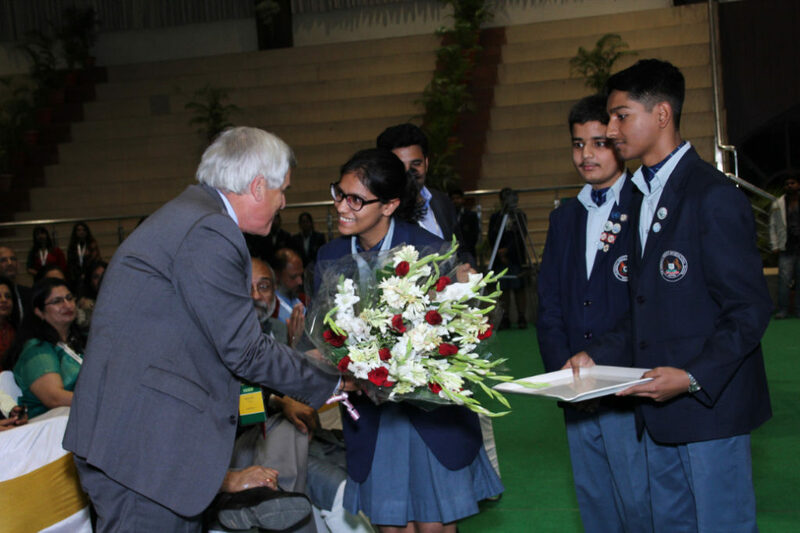 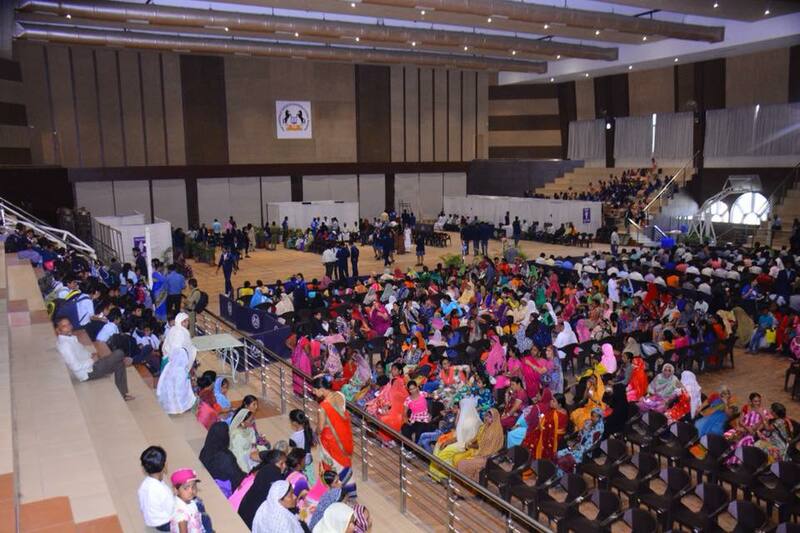 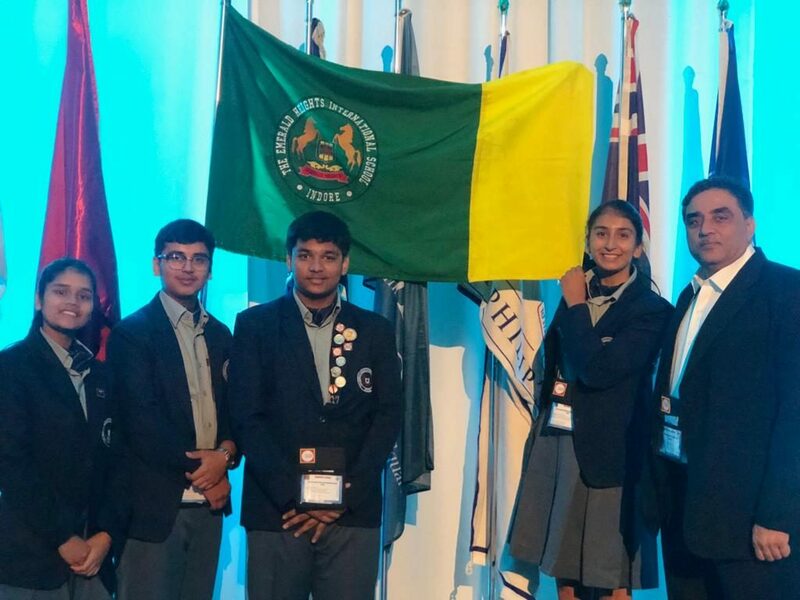 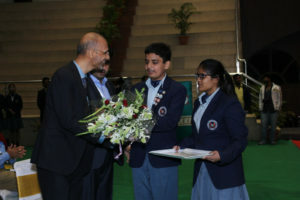 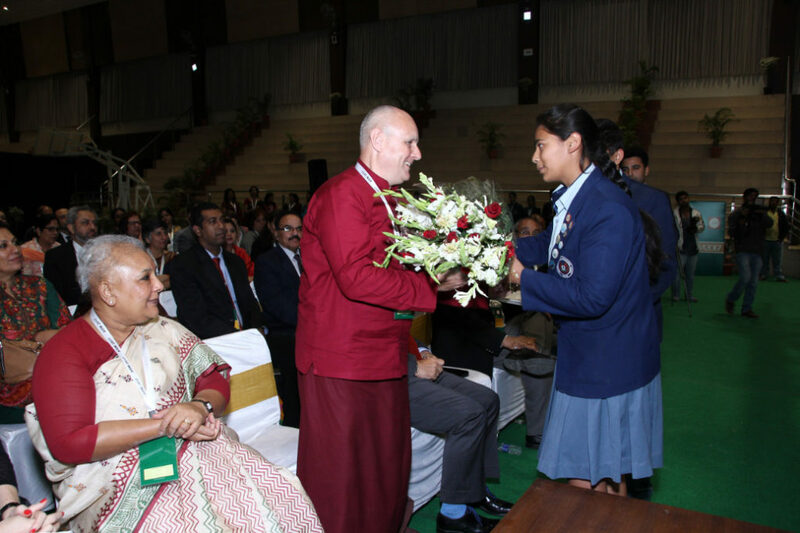 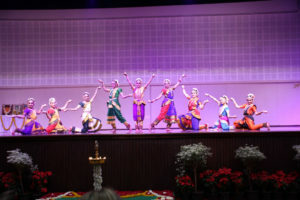 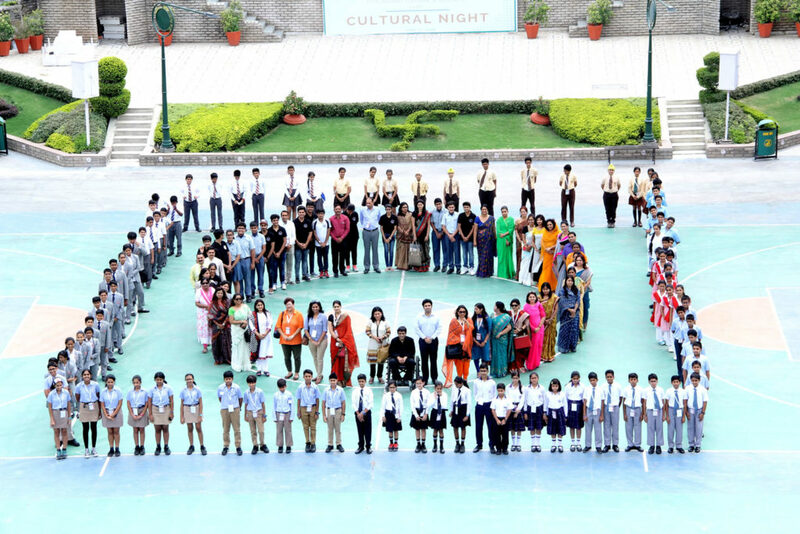 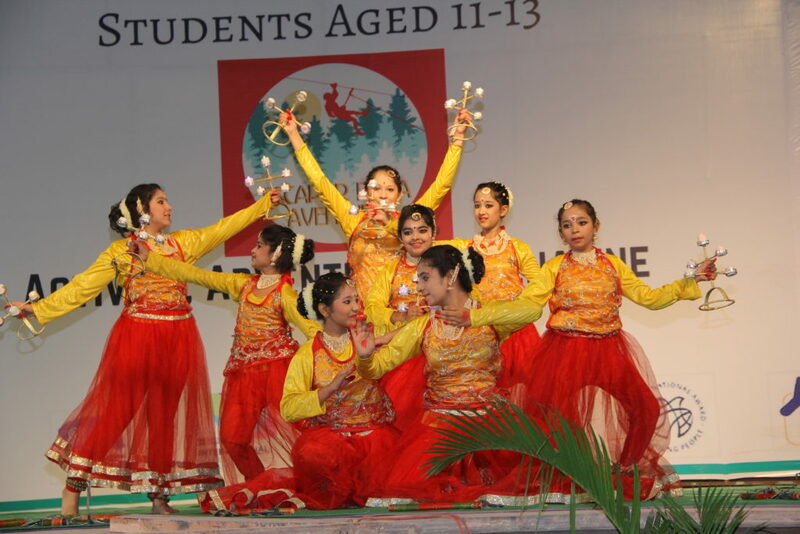 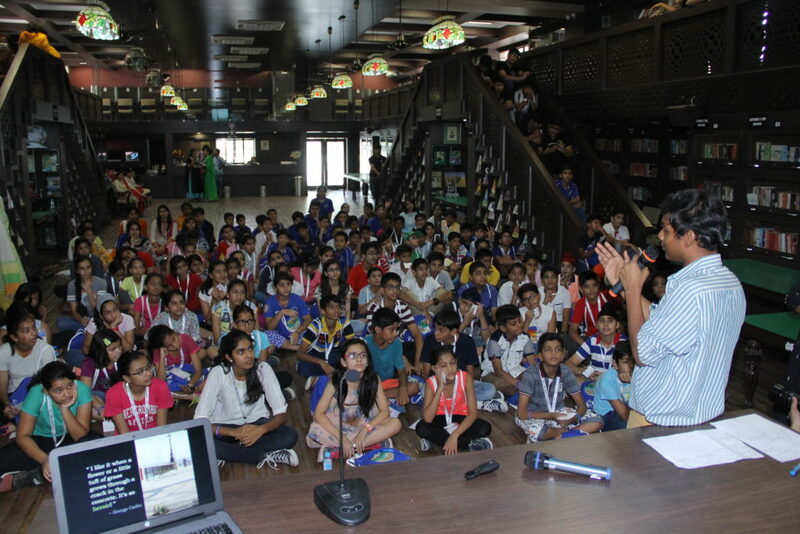 The participating schools were Him Academy Public School, Dharampur, Mayo College, Ajmer, Pathways World School, Aravali, Gurugram, Punjab Public School, Nabha, Rajmata Krishna Kumari Girls’ Public School, Jodhpur, Sanskar Valley School, Bhopal, The Daly College, Indore, Pinegrove School, Dharampur, Birla Public School (Vidya NIketan), Pilani,, The Doon School, Dehradun, Singapore International School, Mumbai and The Assam Valley Public School, Balipara.